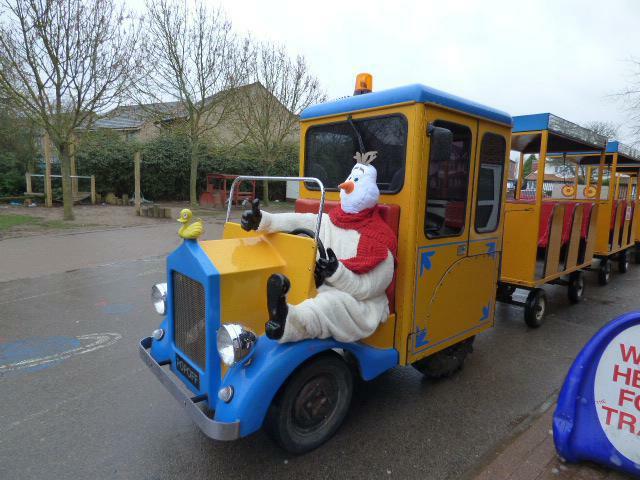 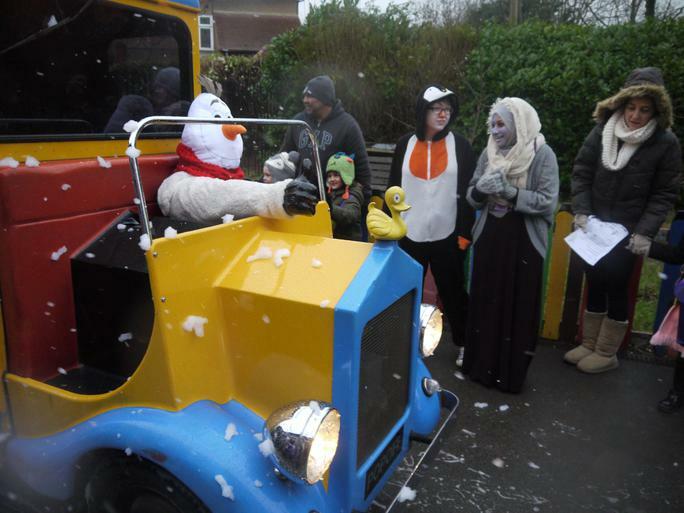 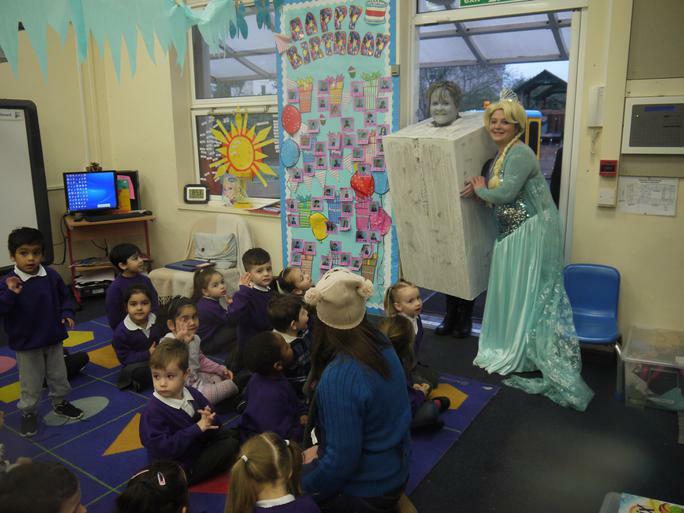 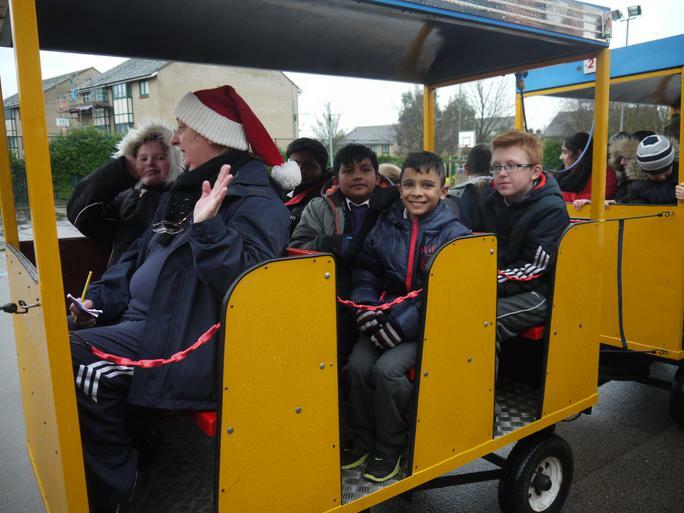 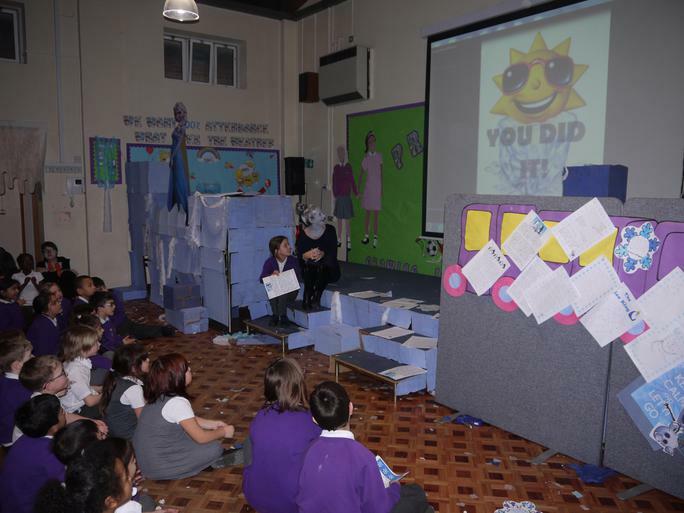 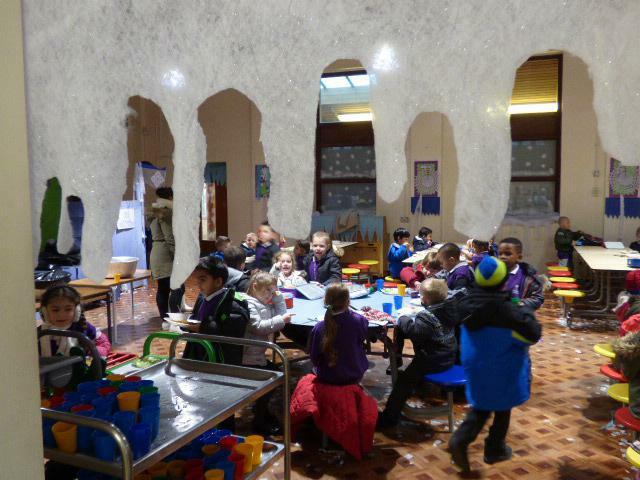 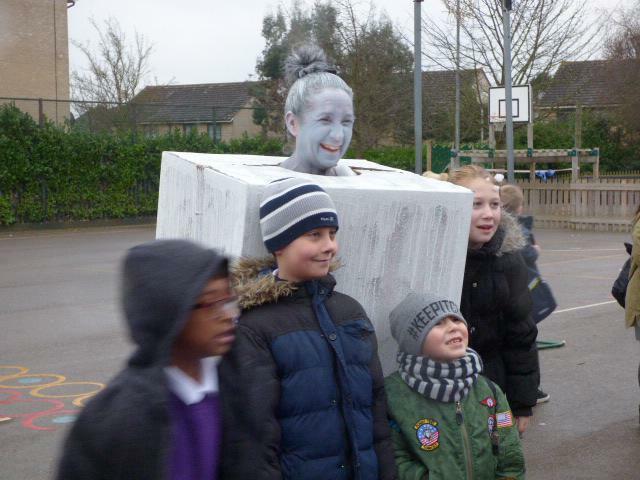 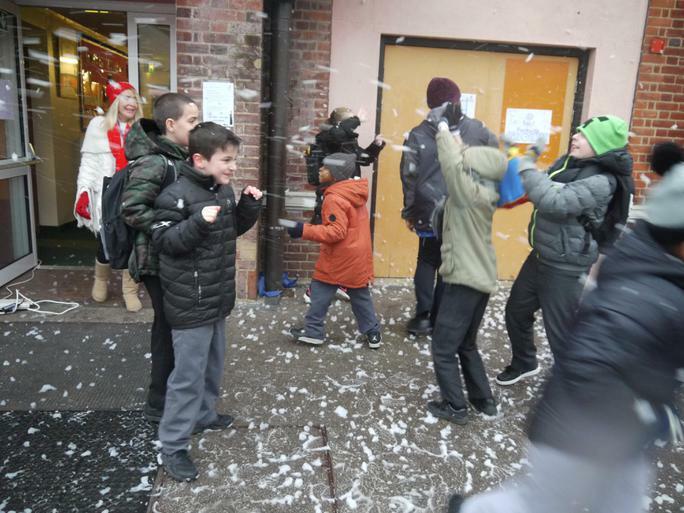 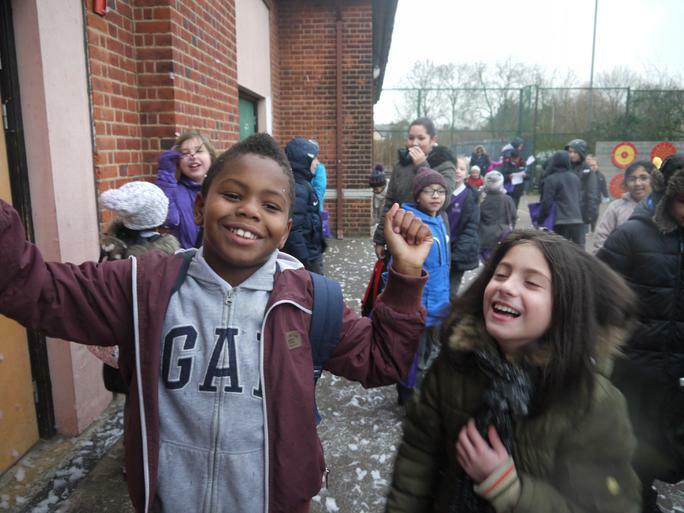 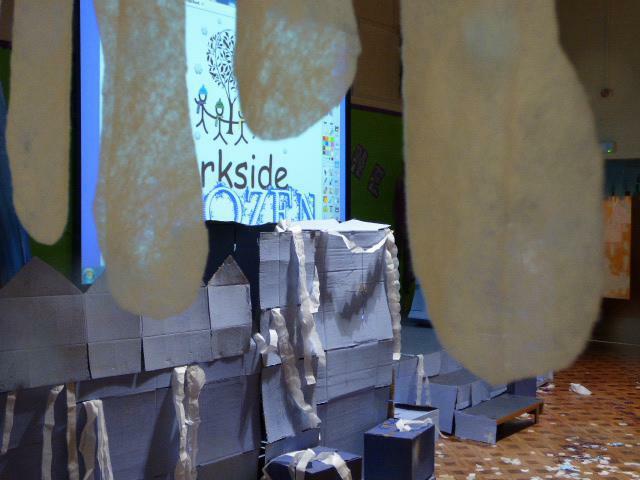 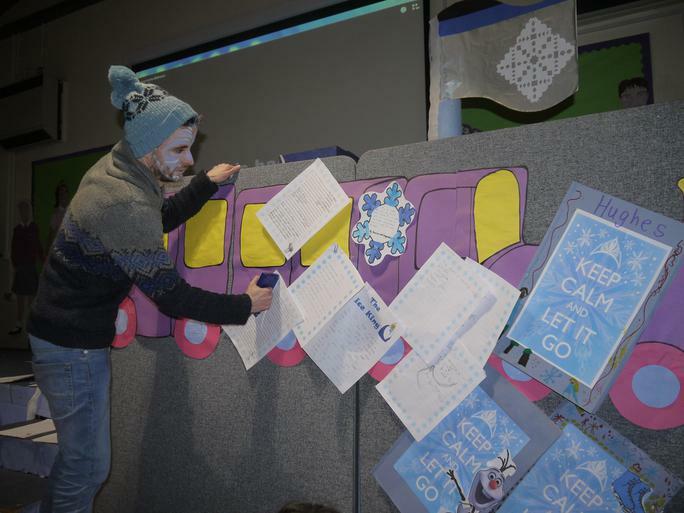 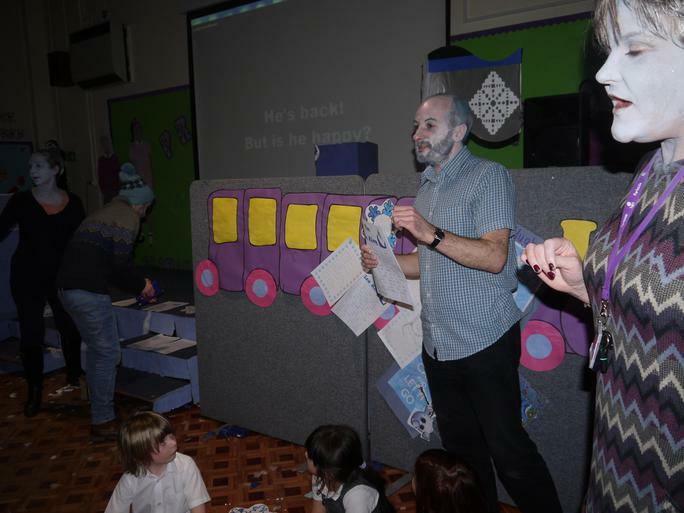 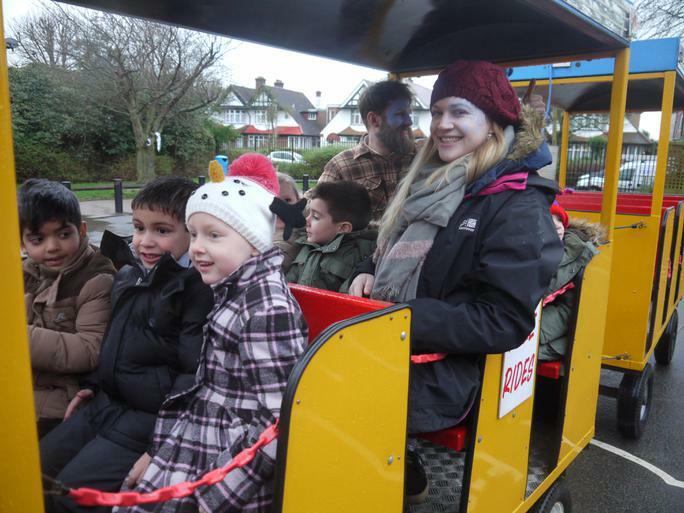 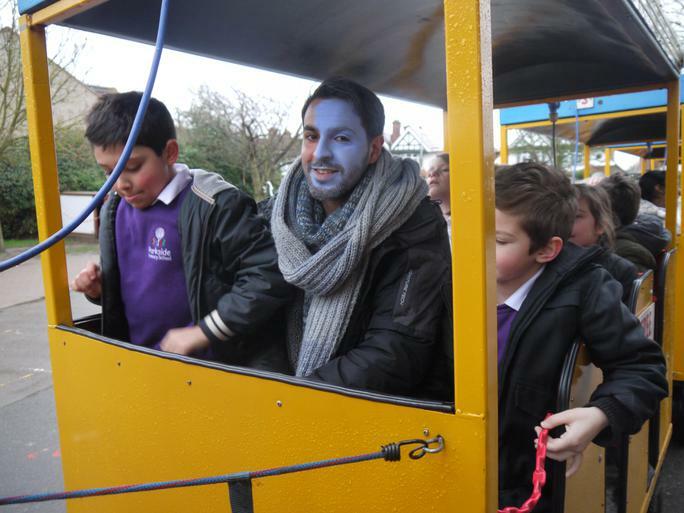 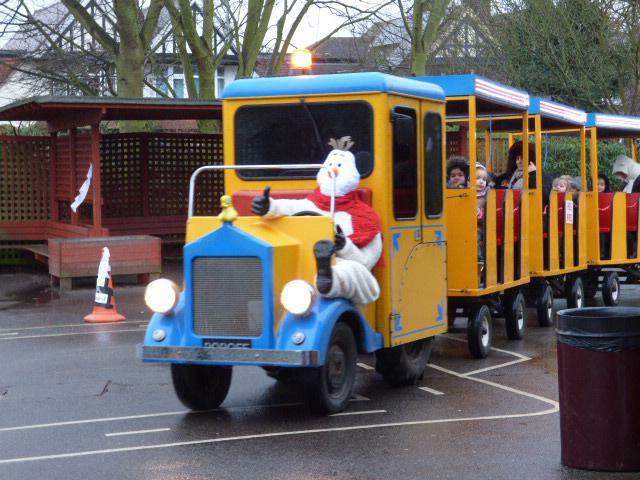 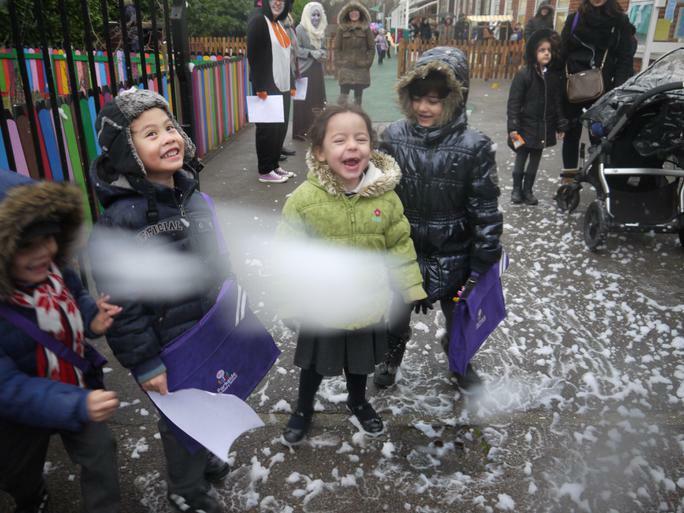 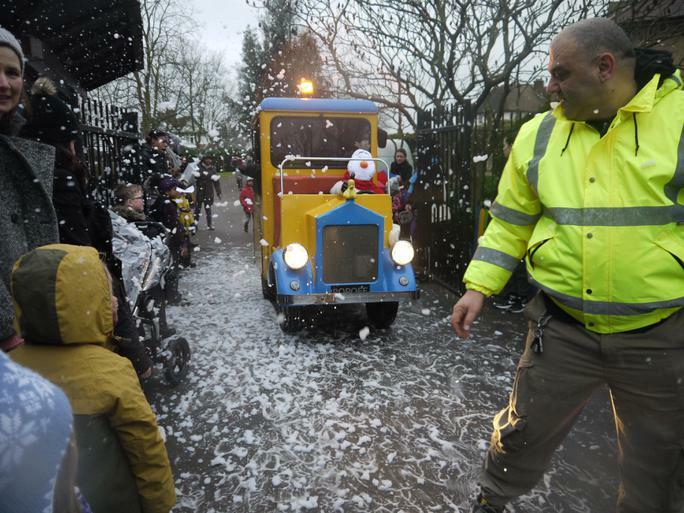 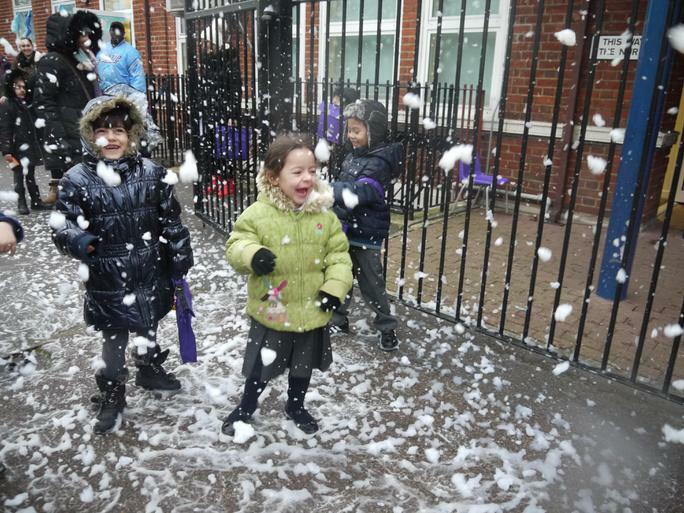 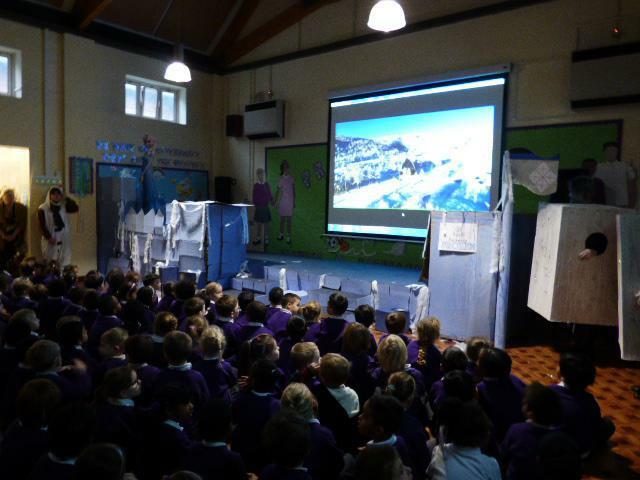 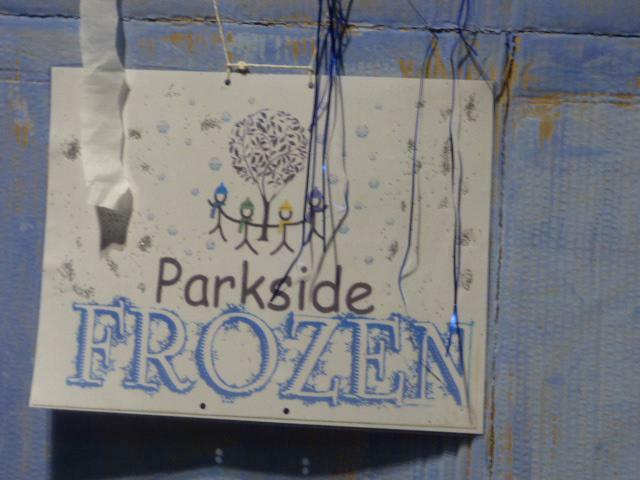 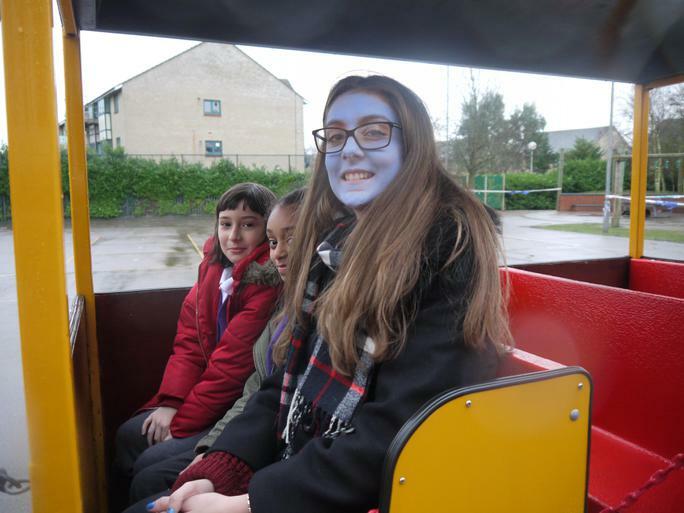 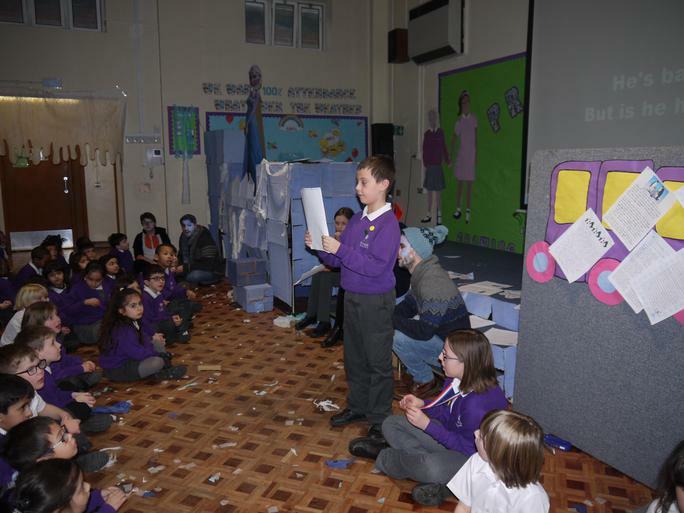 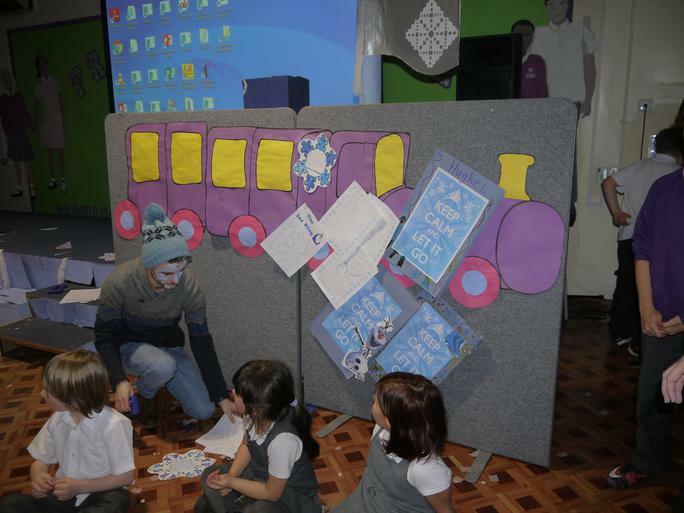 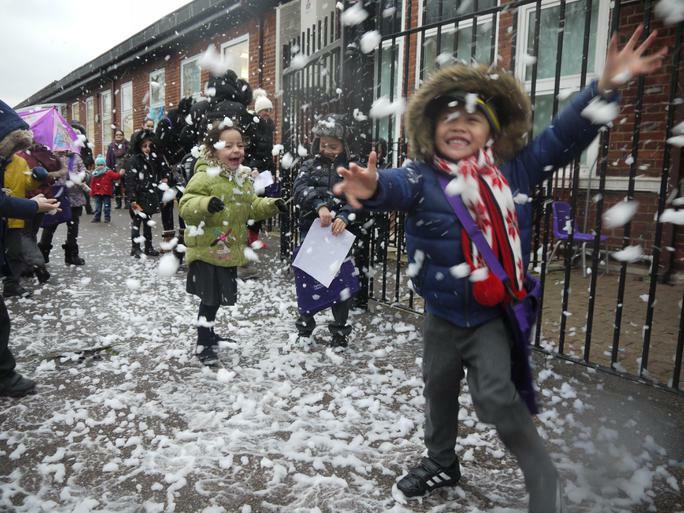 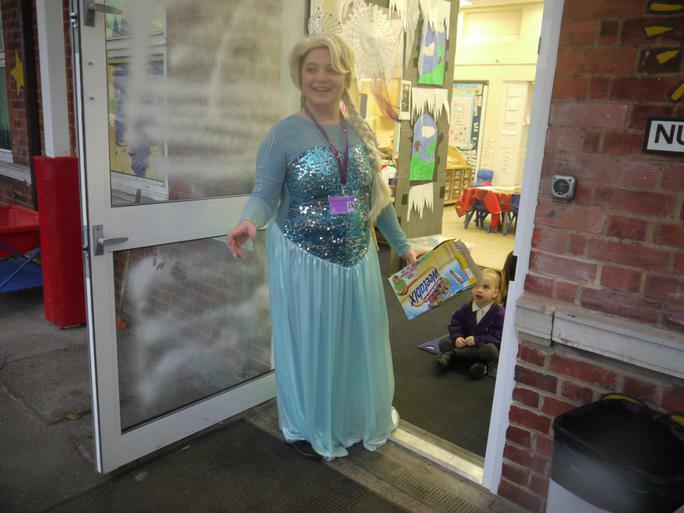 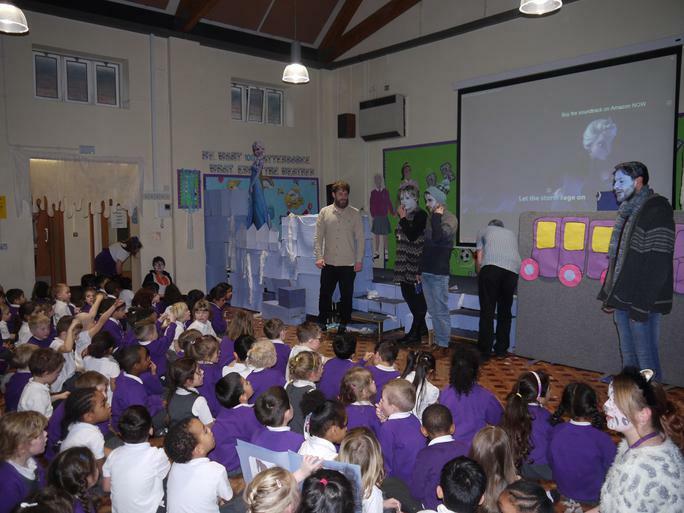 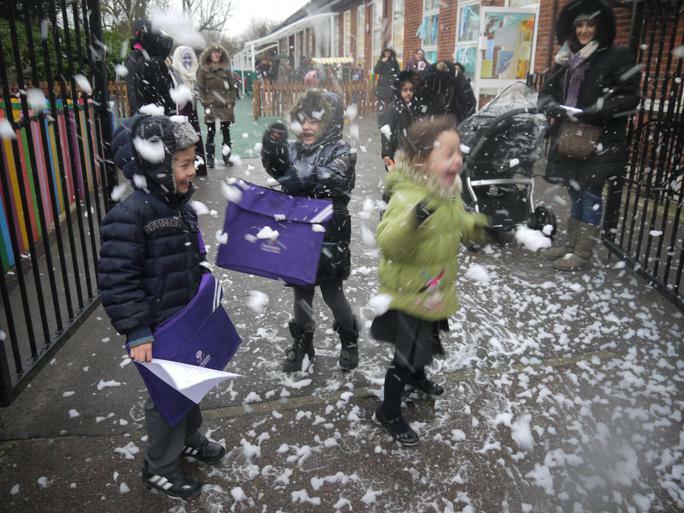 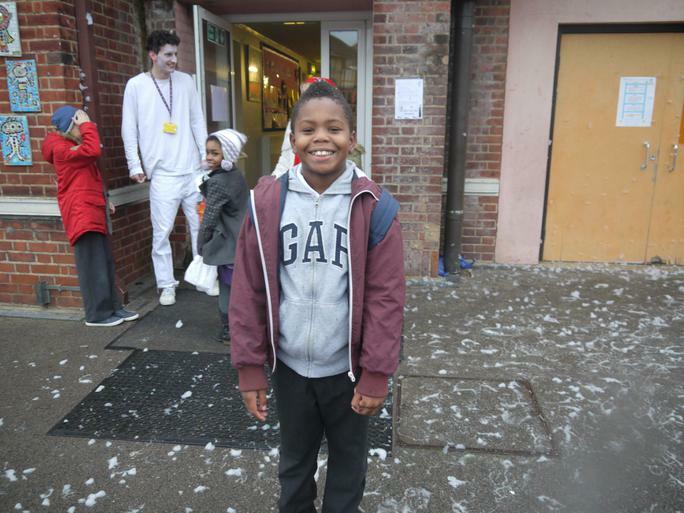 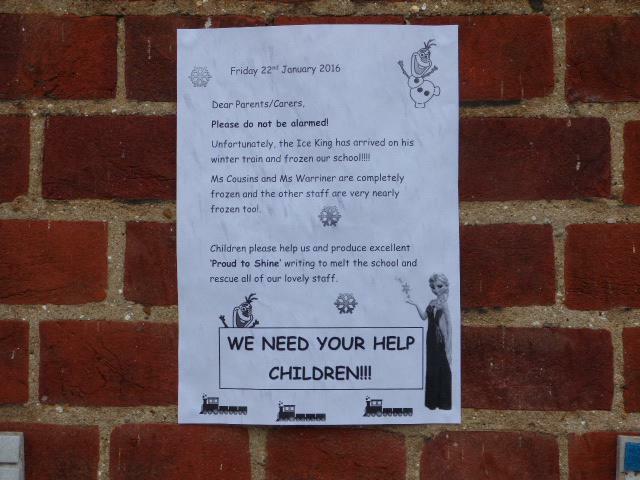 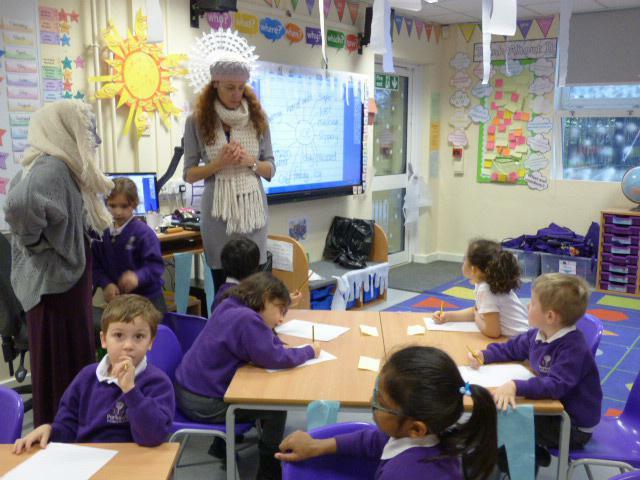 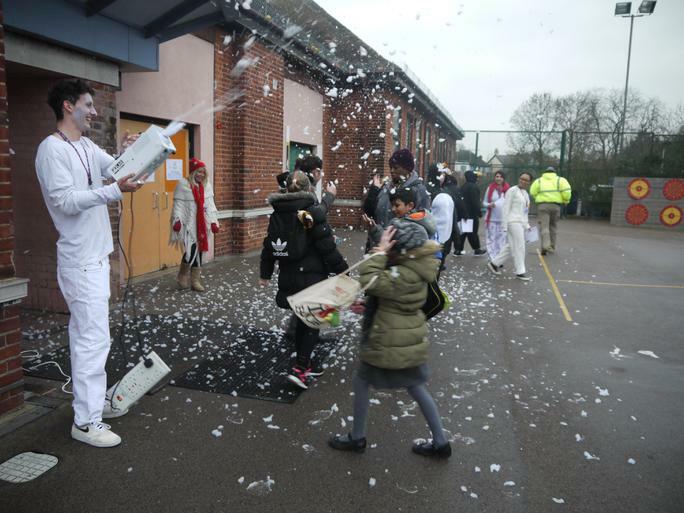 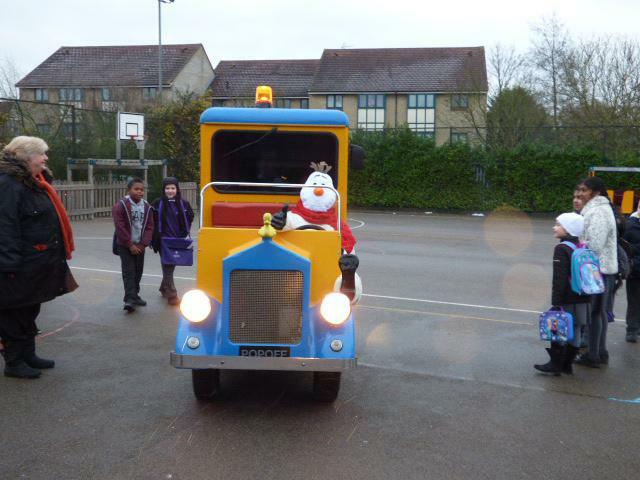 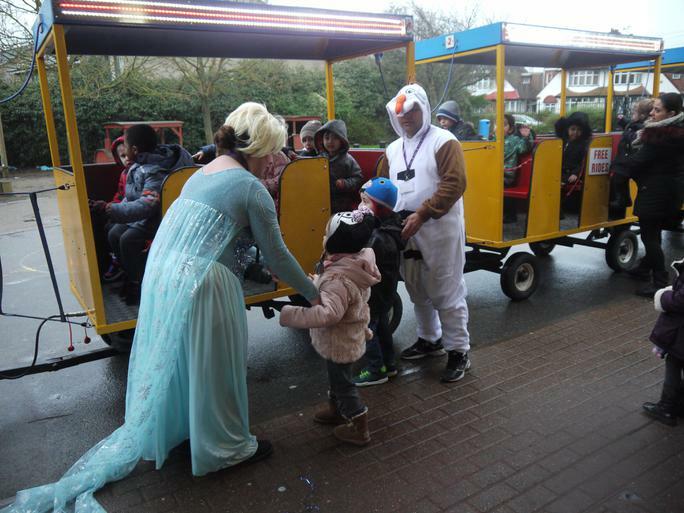 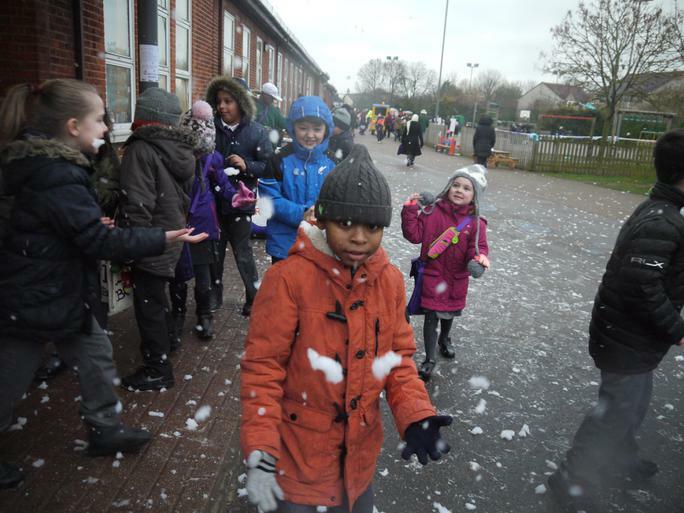 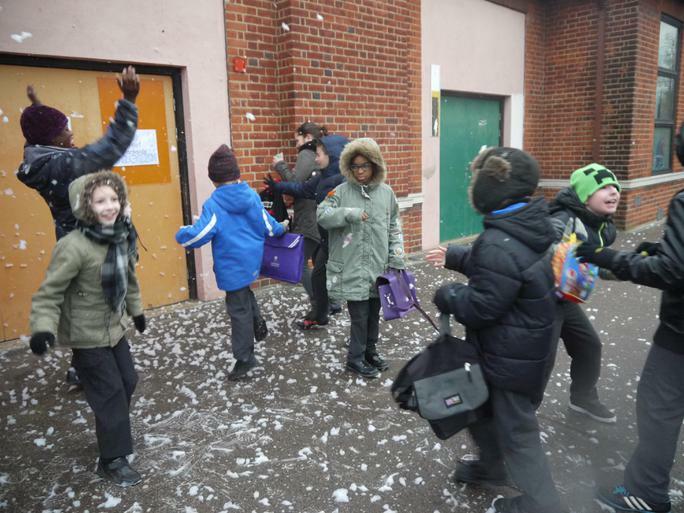 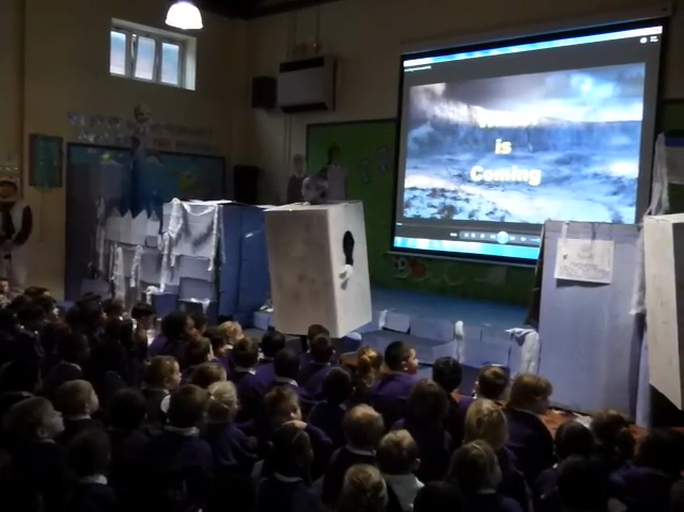 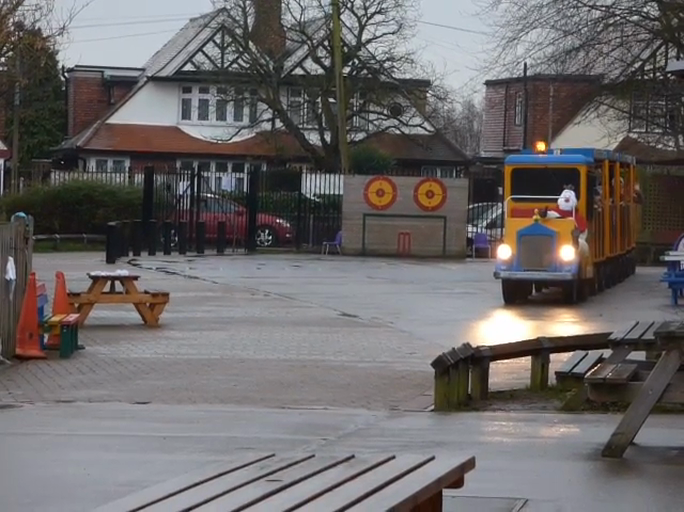 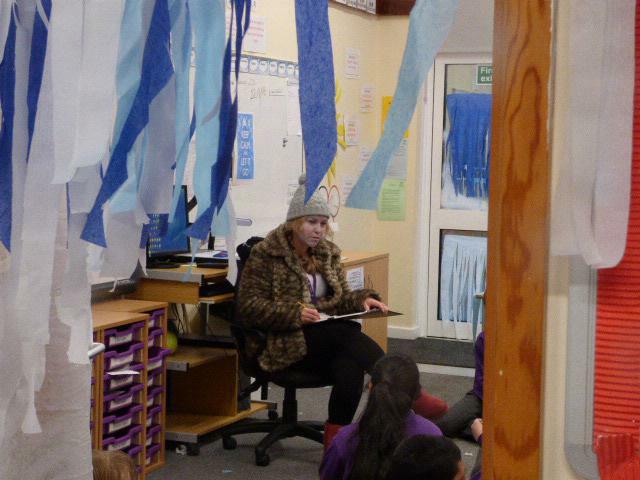 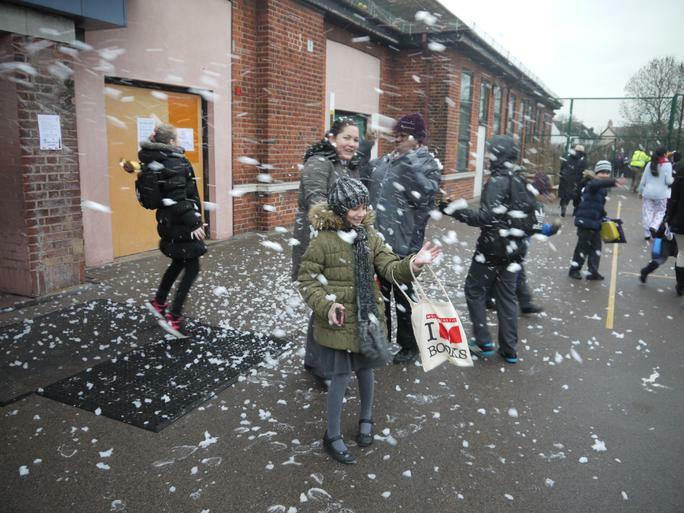 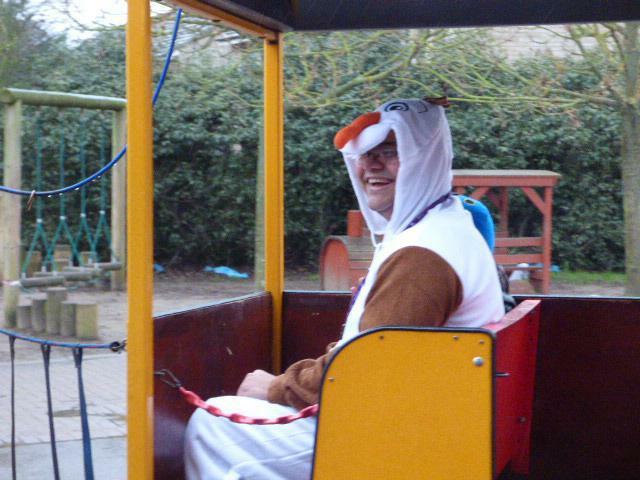 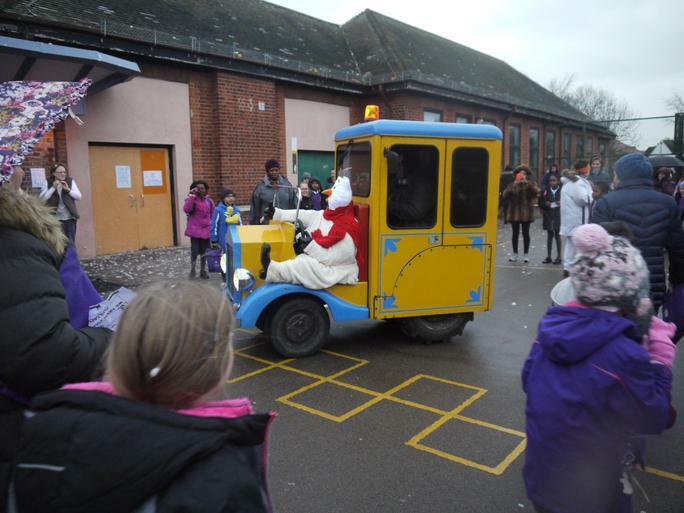 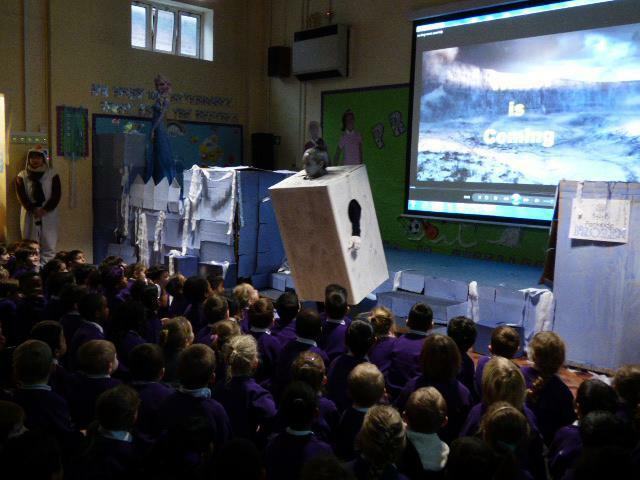 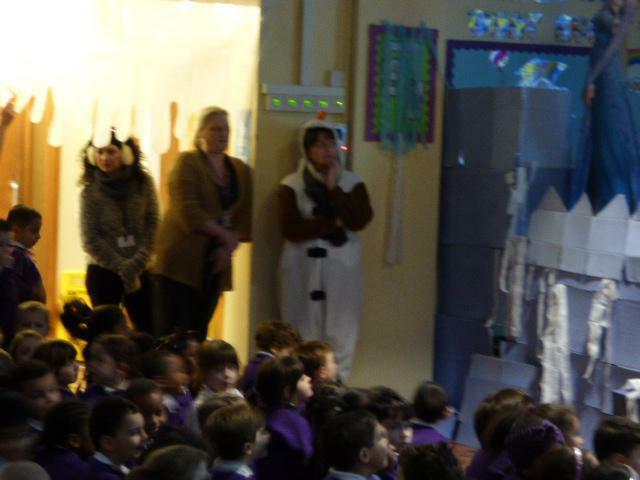 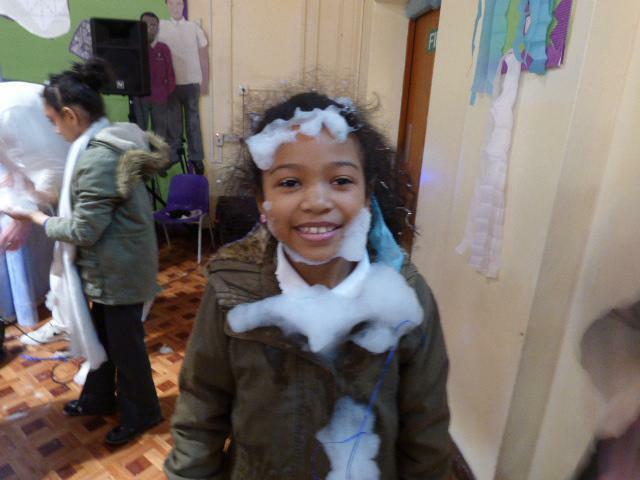 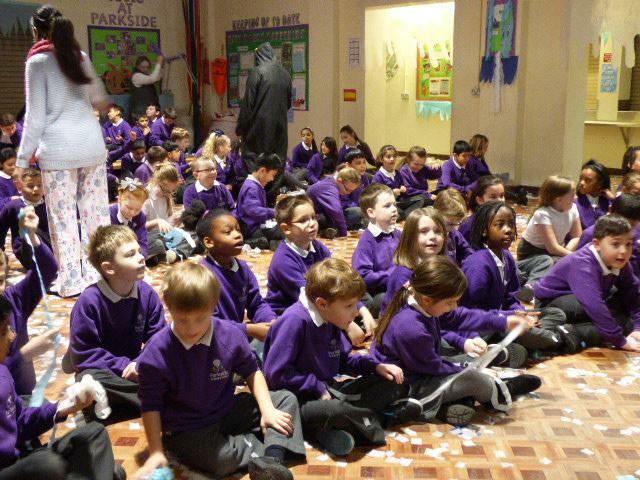 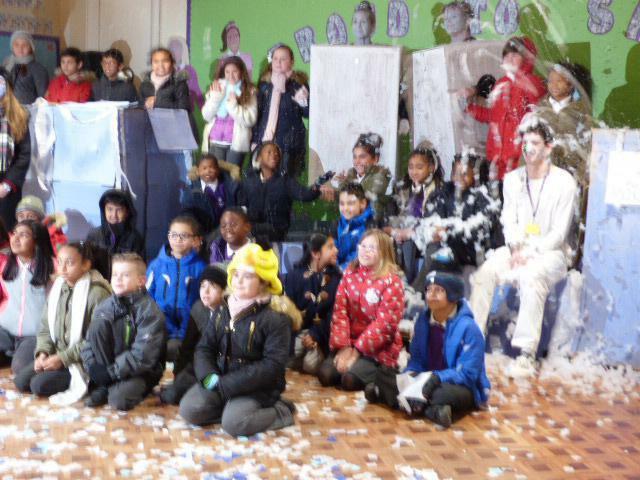 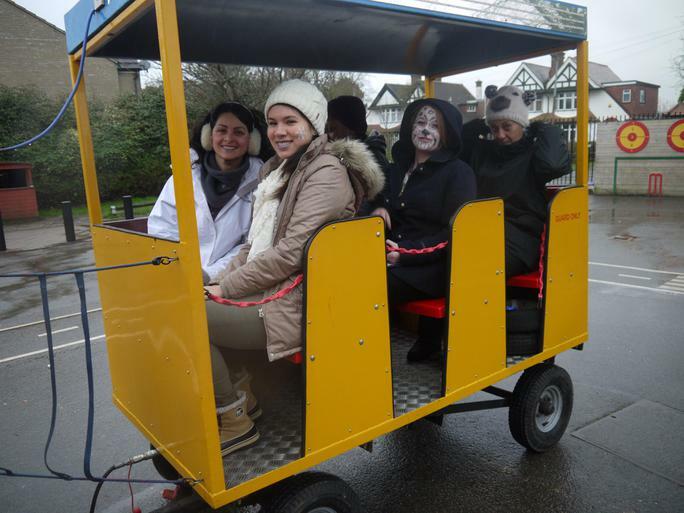 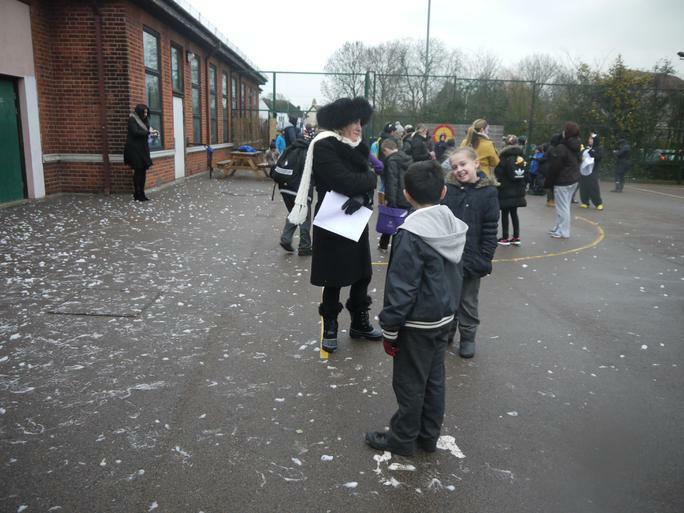 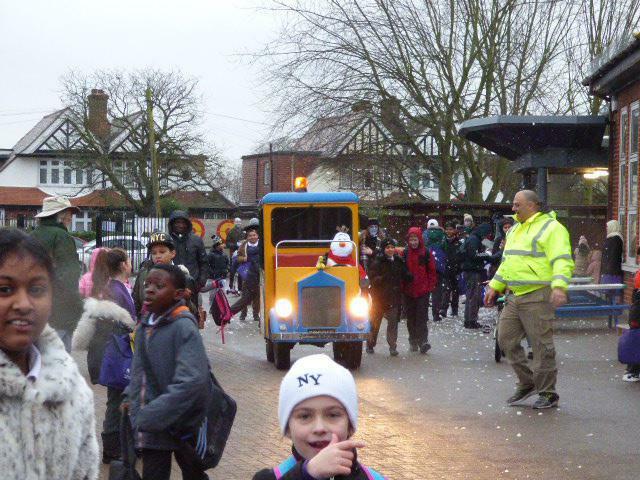 Children and parents had a shock when they arrived at Parkside Primary School this morning and found that not only was it snowing but the Ice King had arrived on his Land train and had frozen the school. 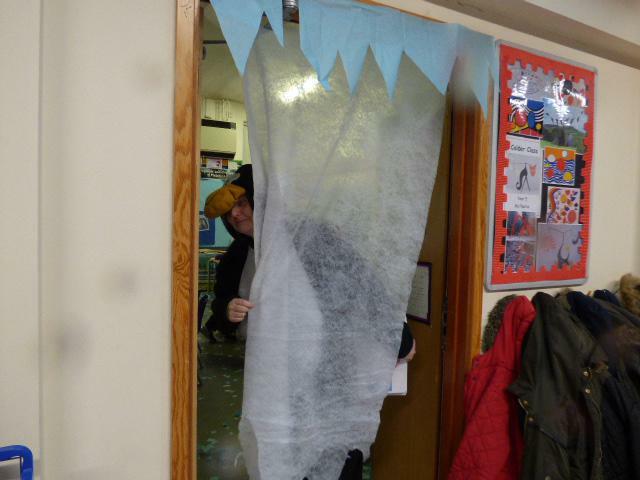 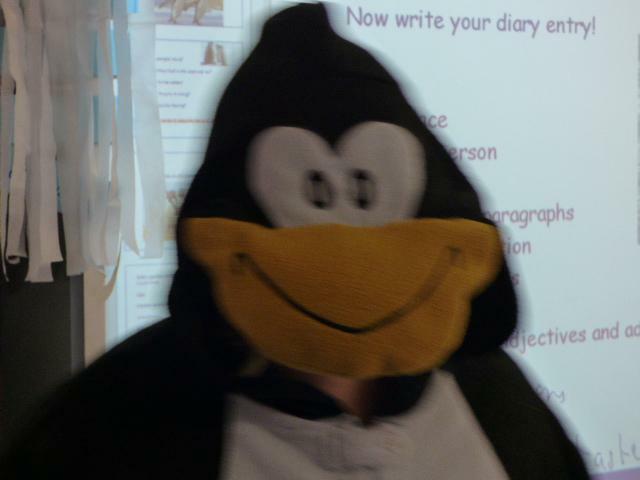 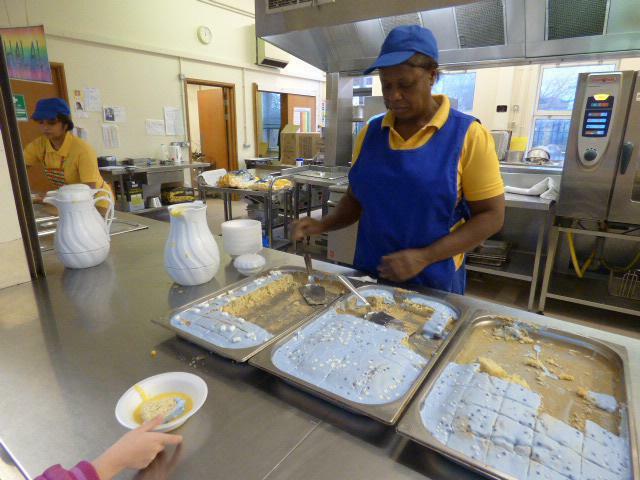 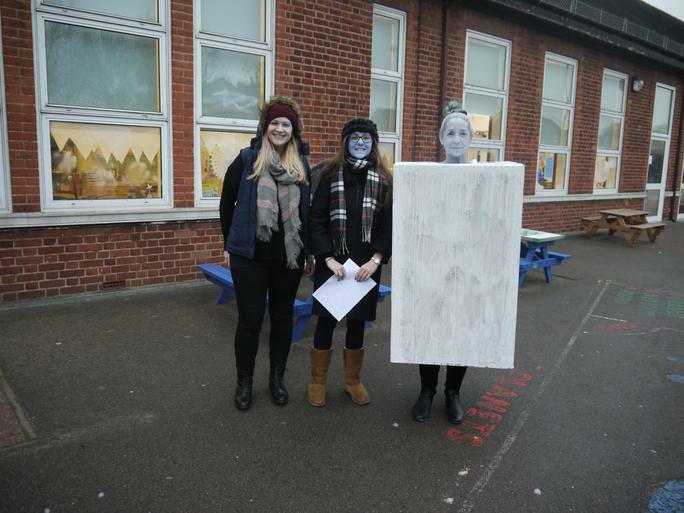 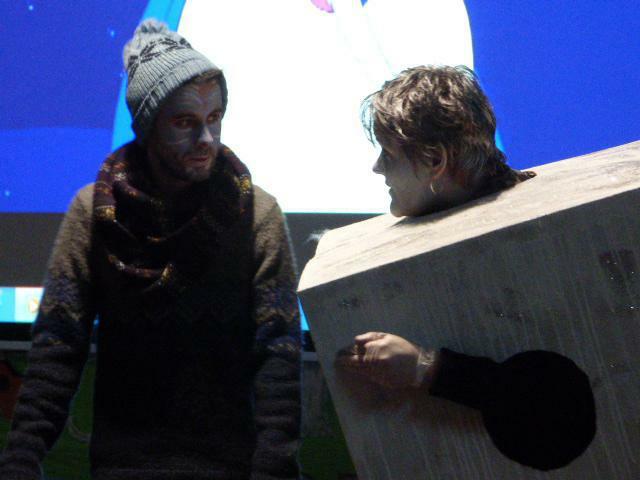 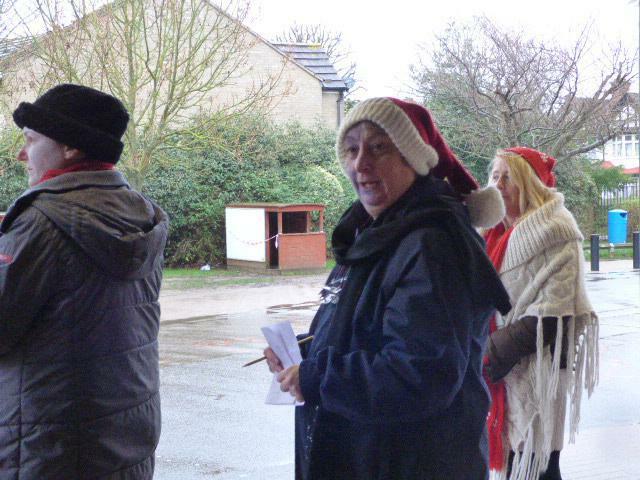 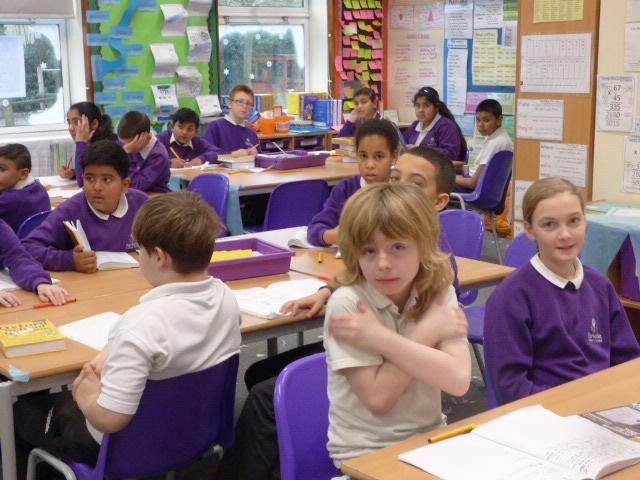 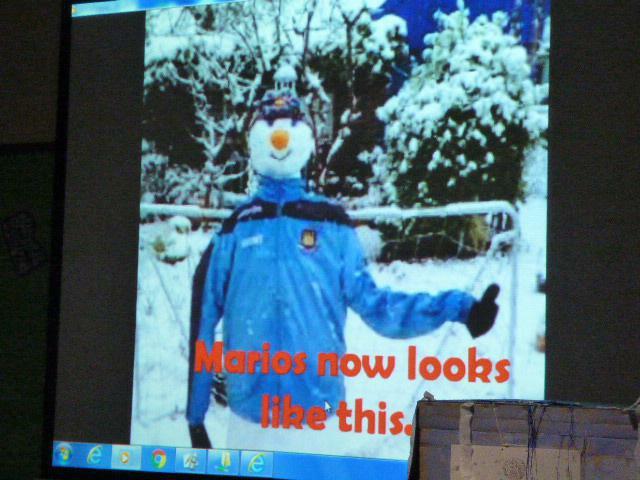 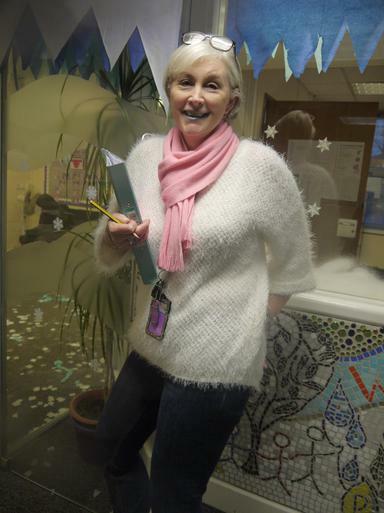 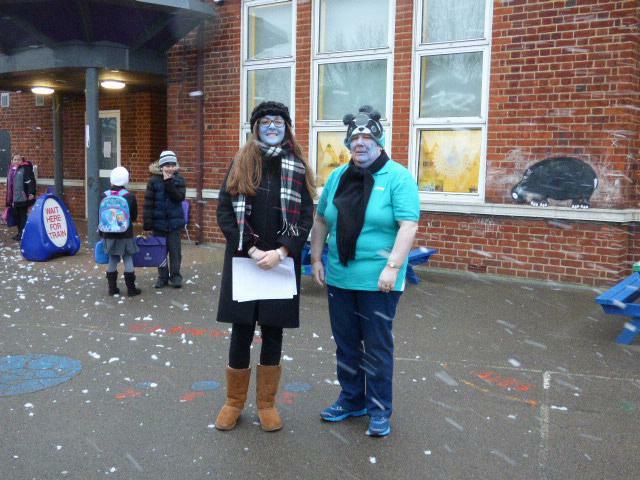 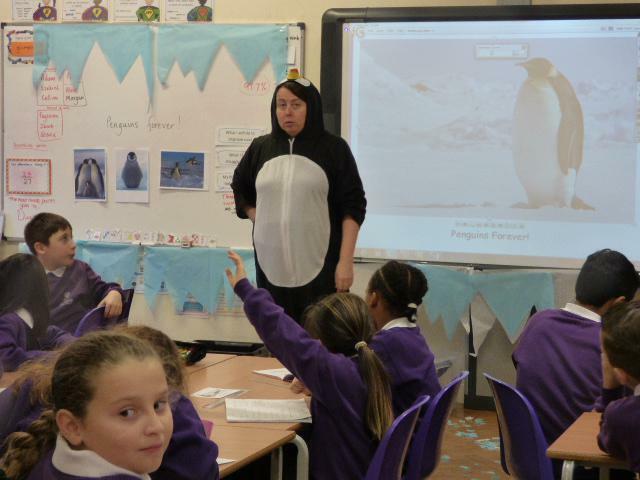 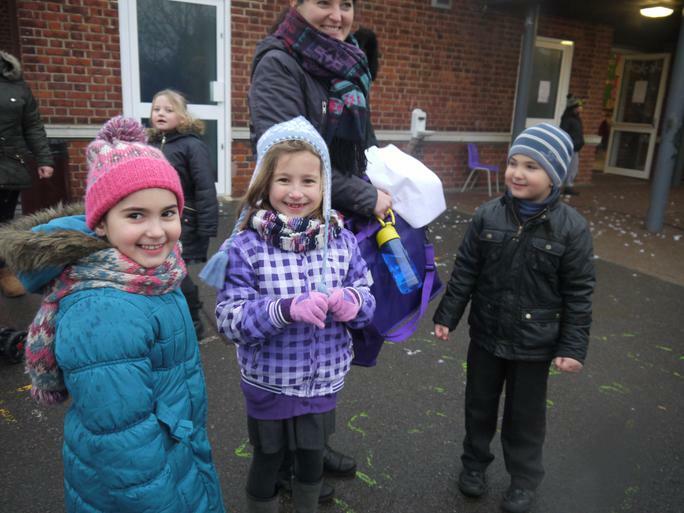 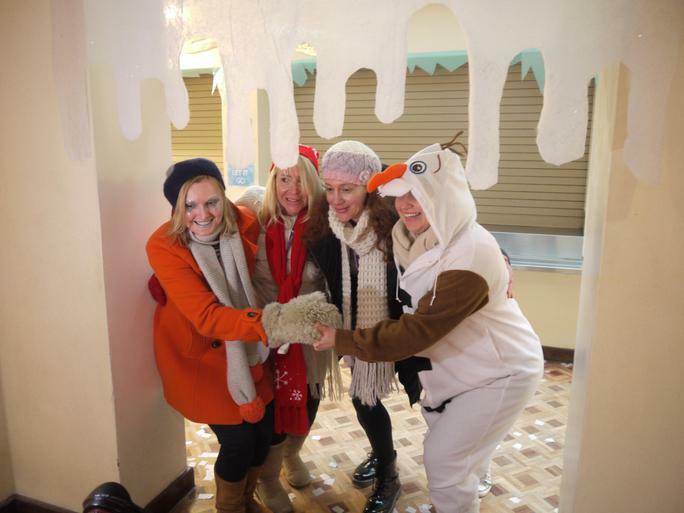 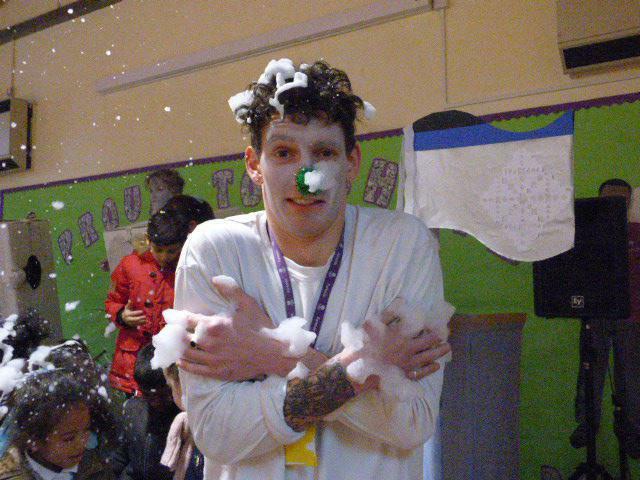 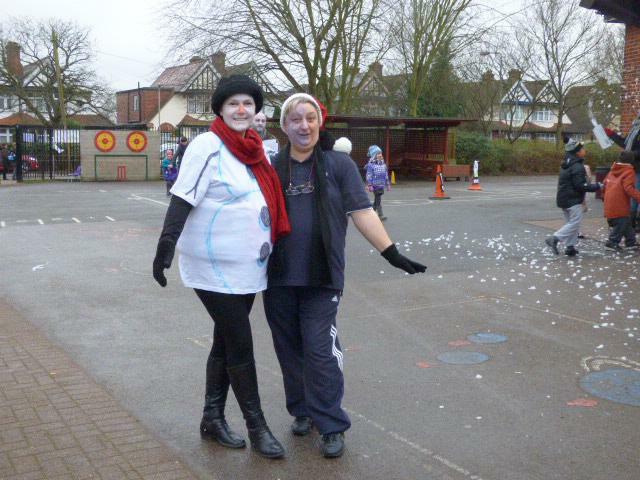 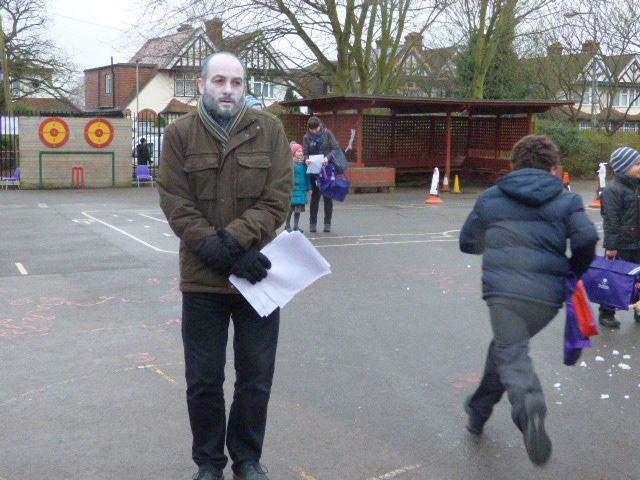 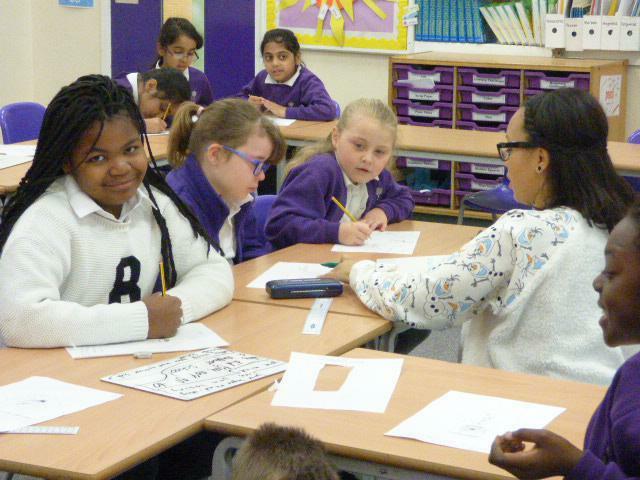 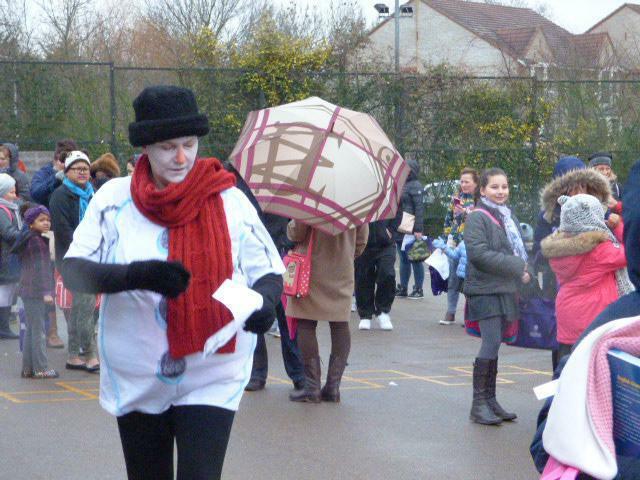 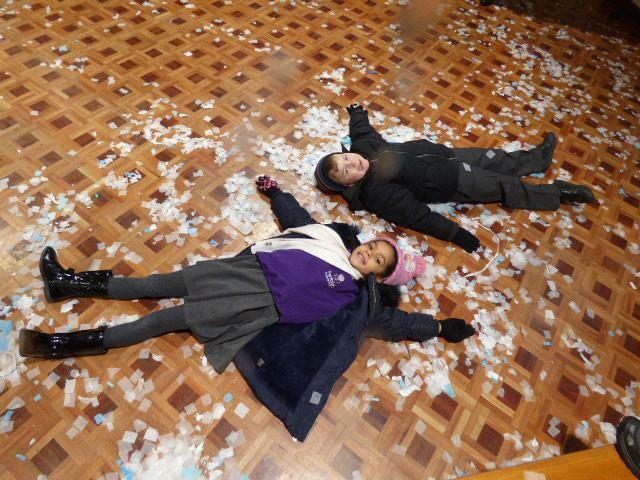 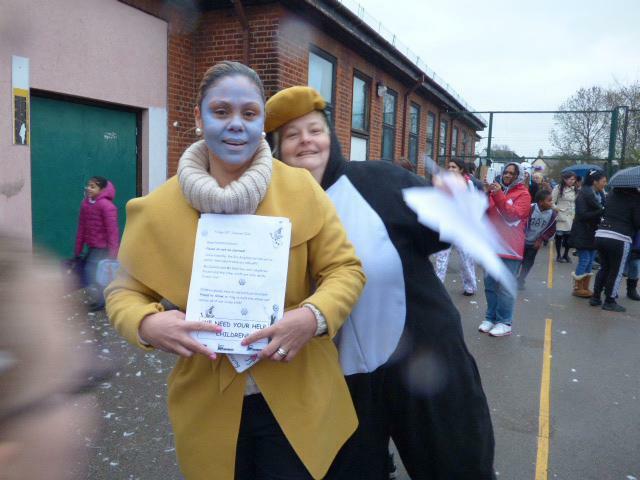 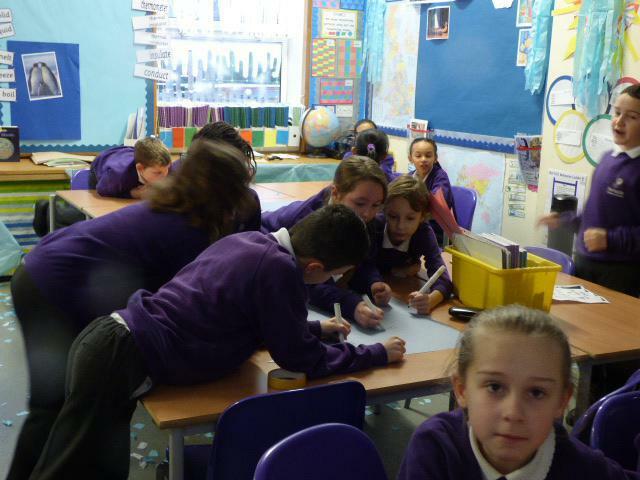 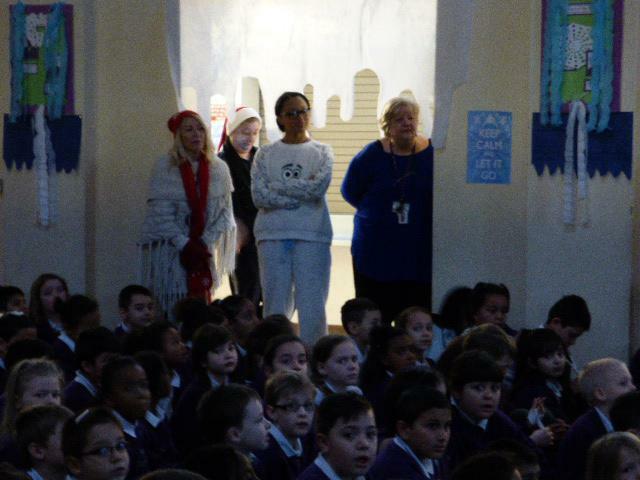 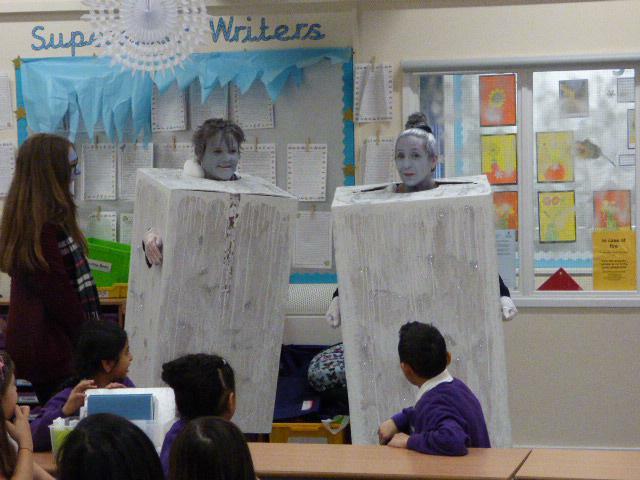 Headteacher Lisa Cousins and Deputy Headteacher Amanda Warriner were already fully frozen ice cubes and the remainder of the staff were really feeling the chill. 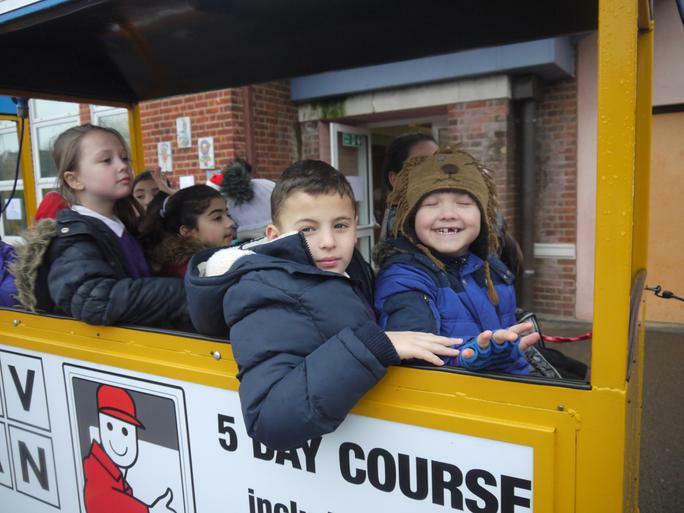 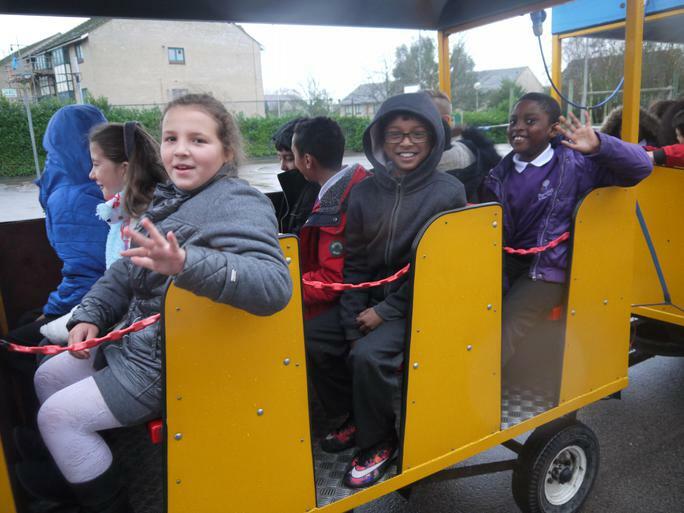 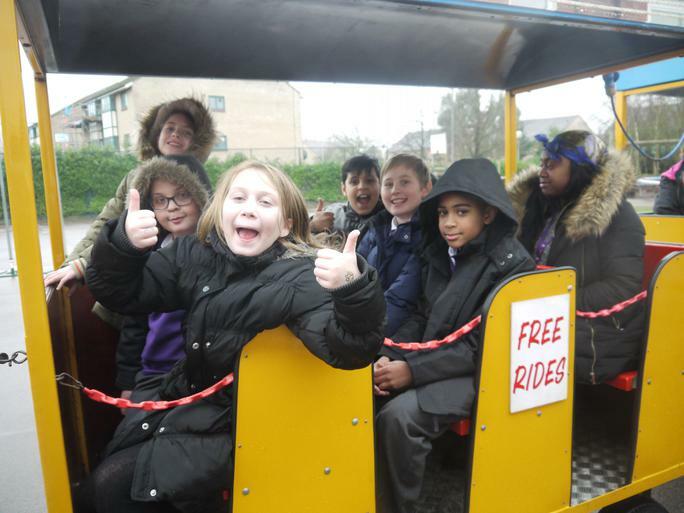 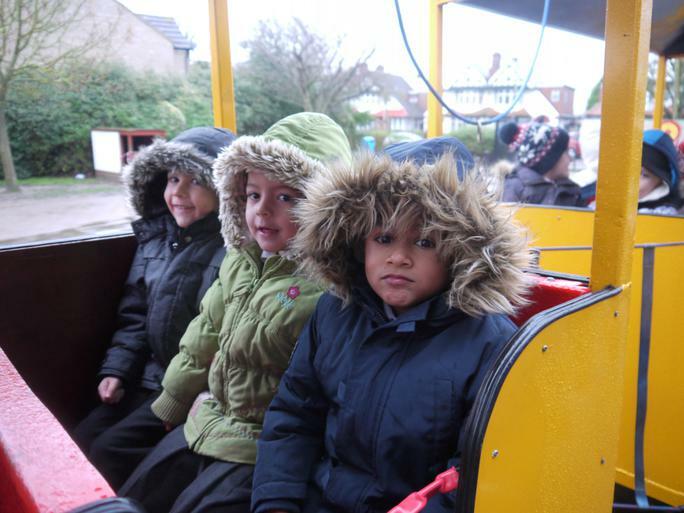 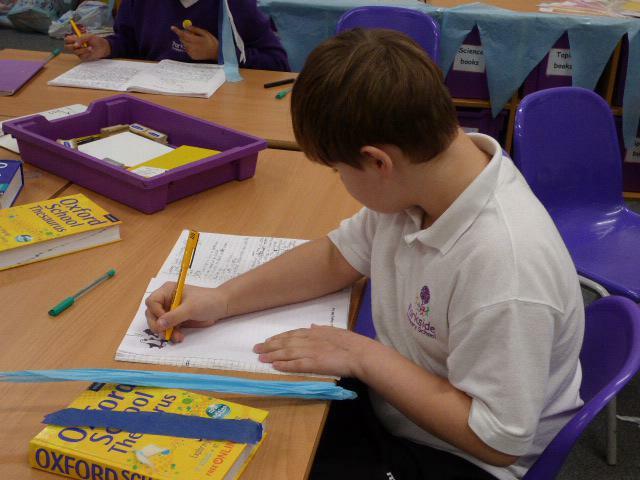 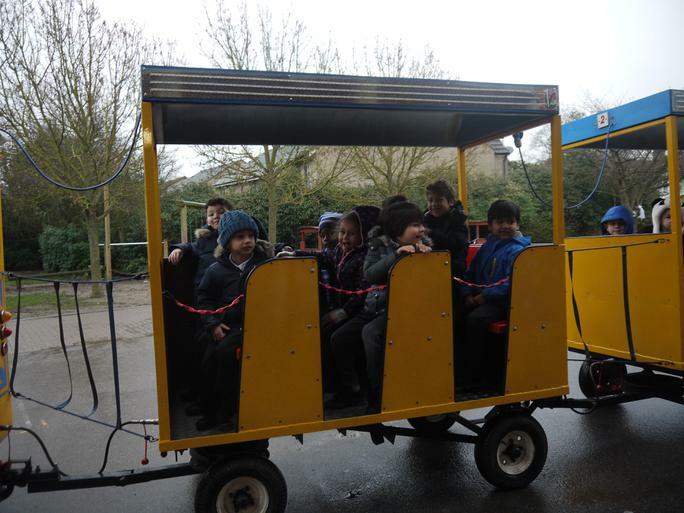 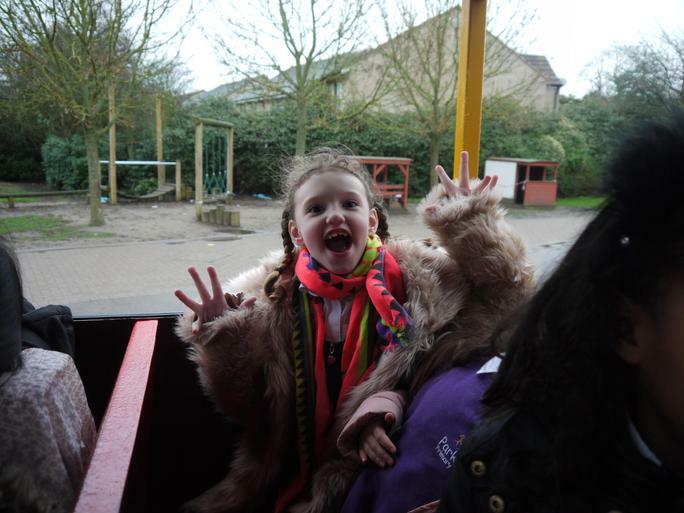 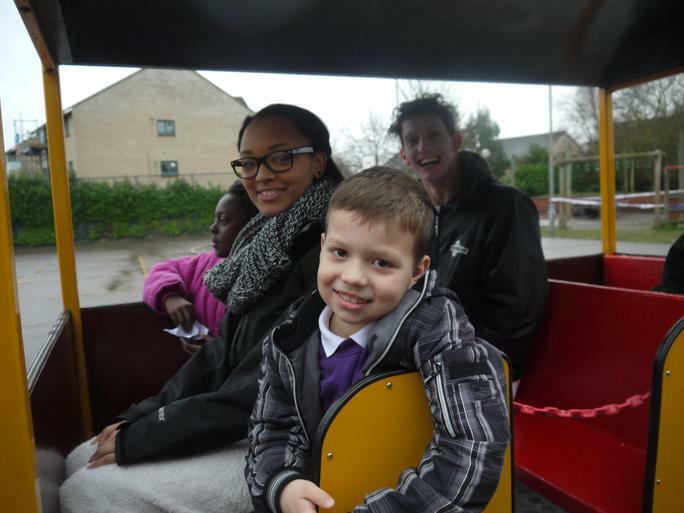 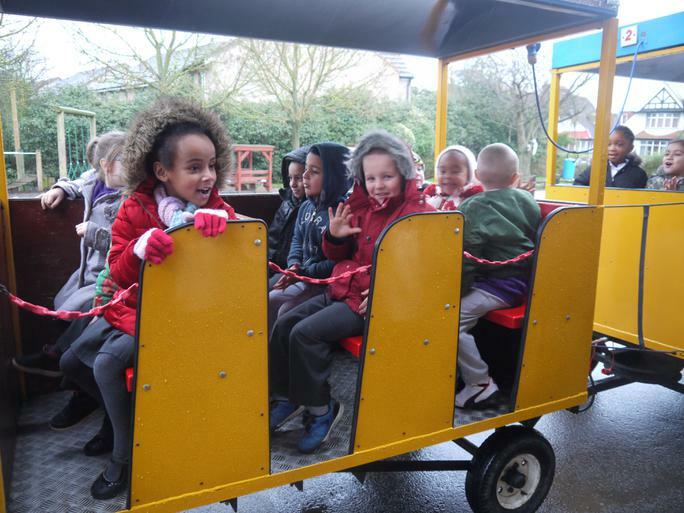 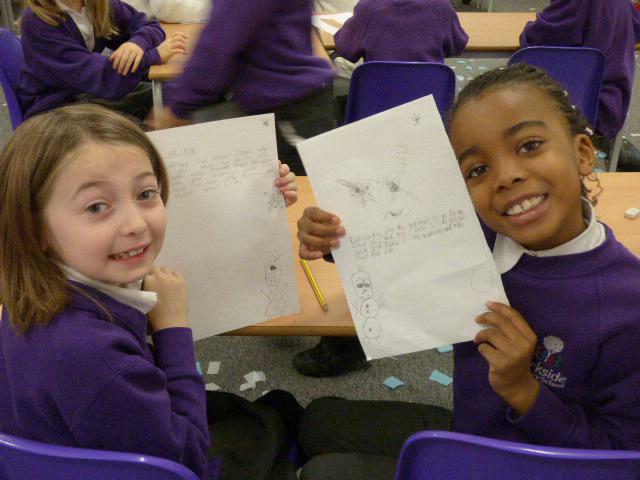 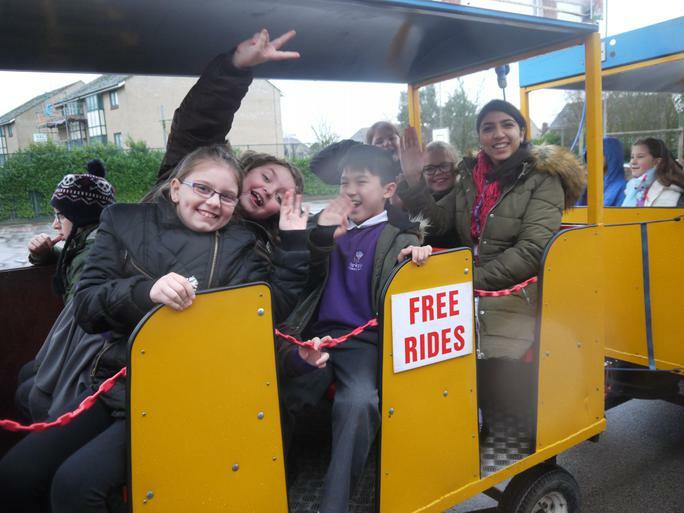 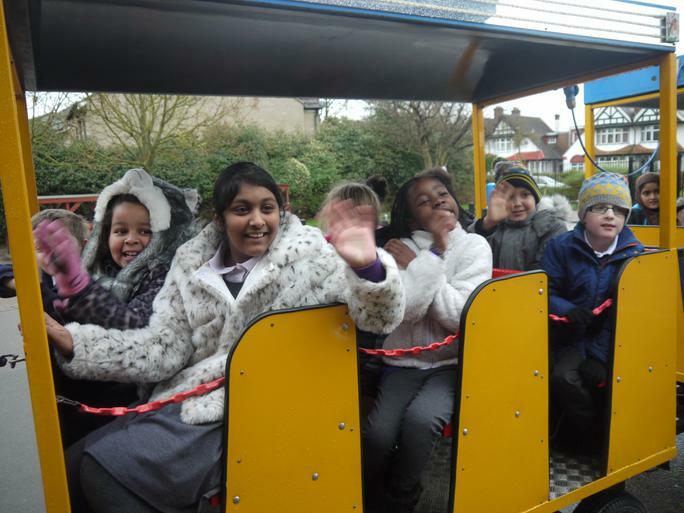 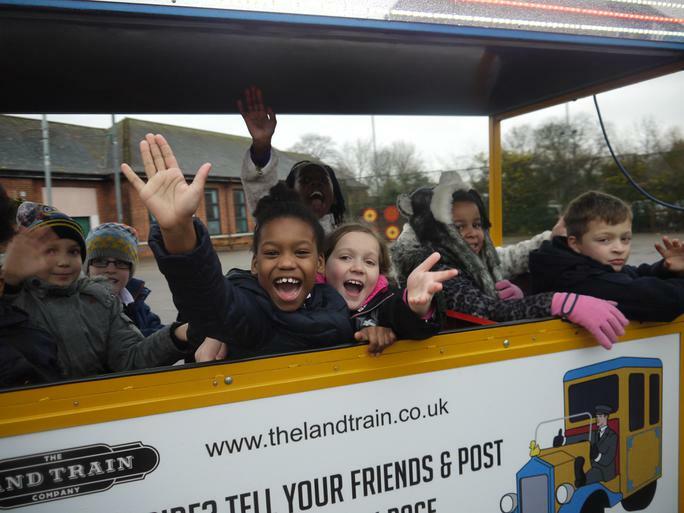 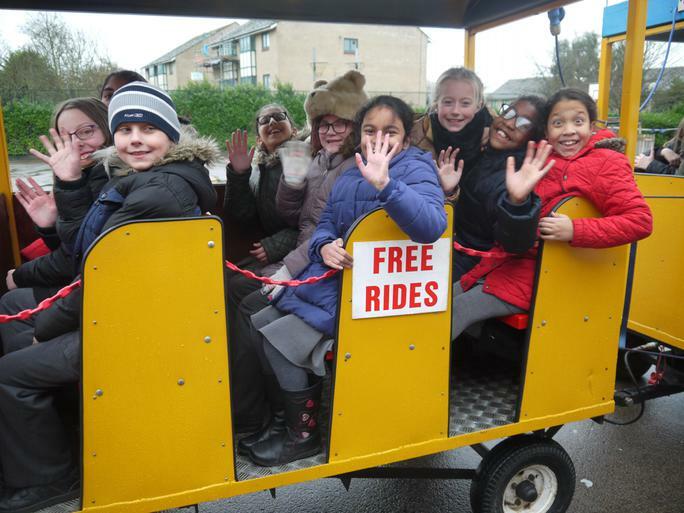 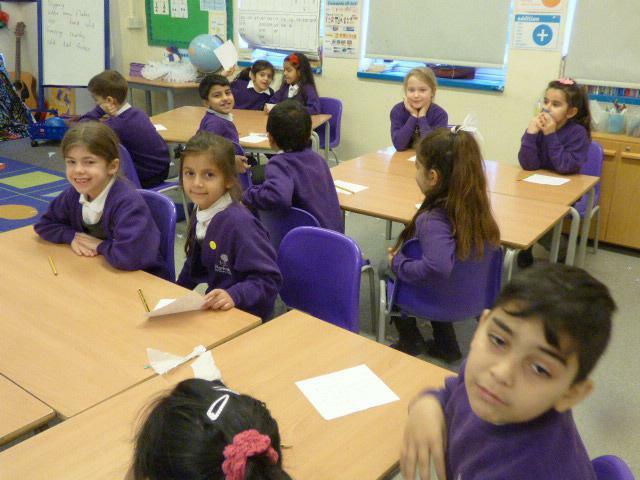 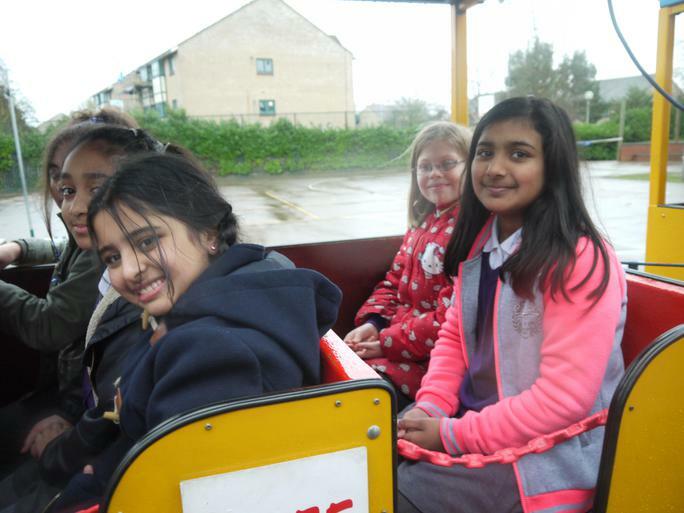 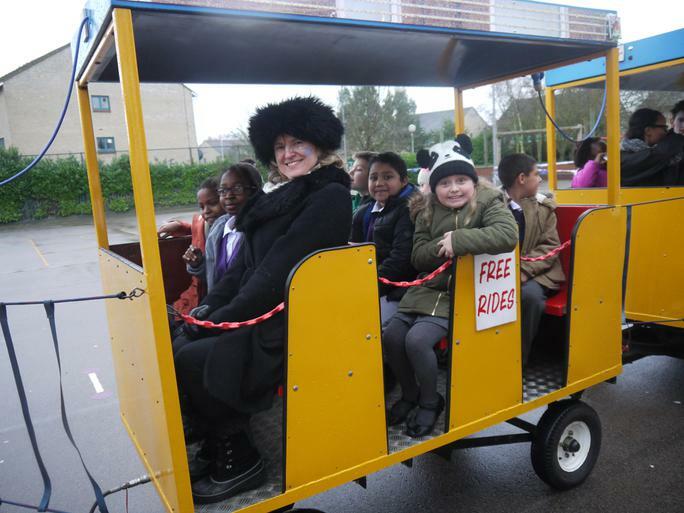 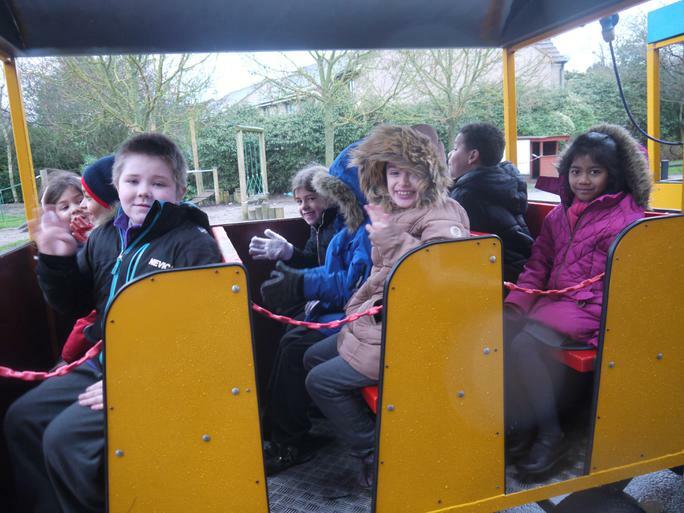 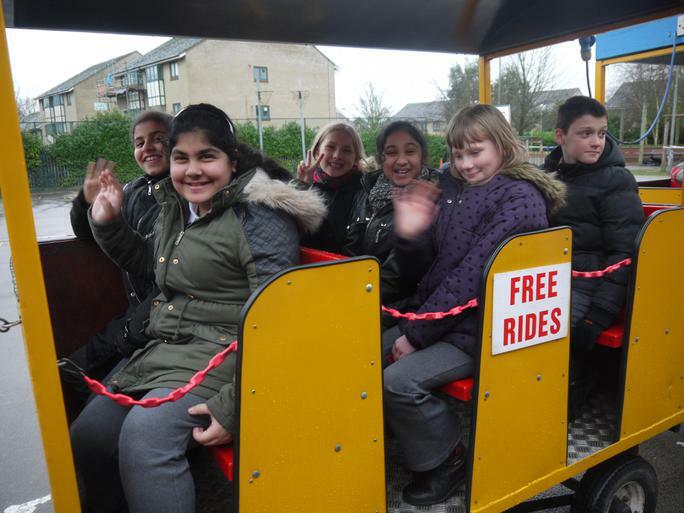 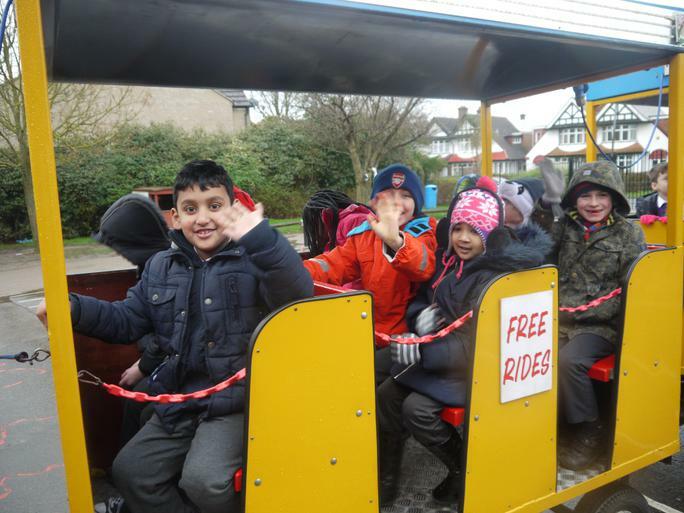 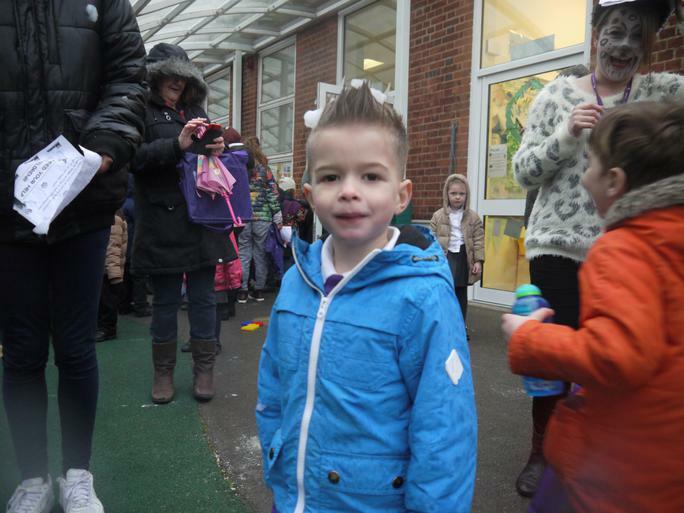 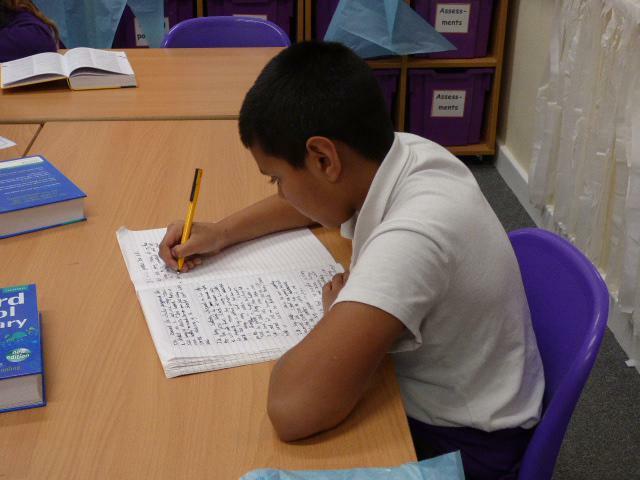 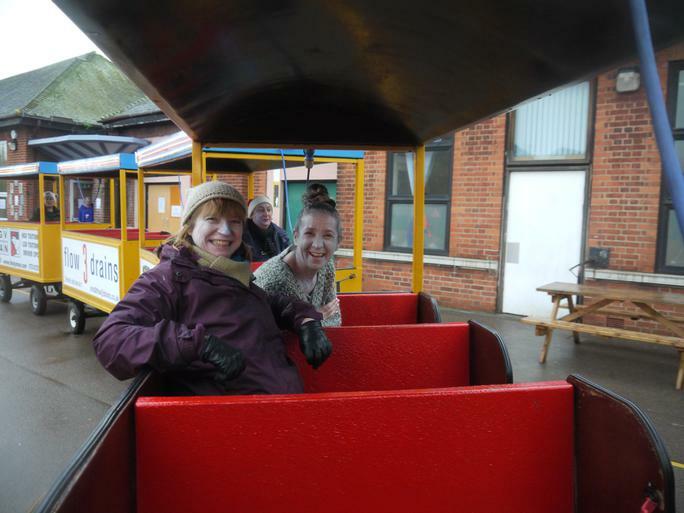 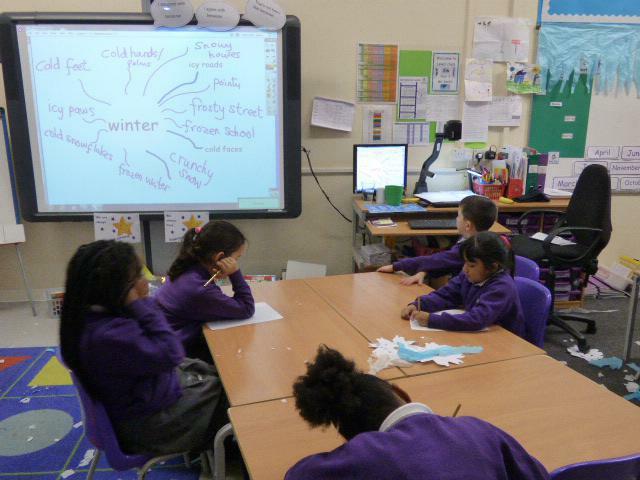 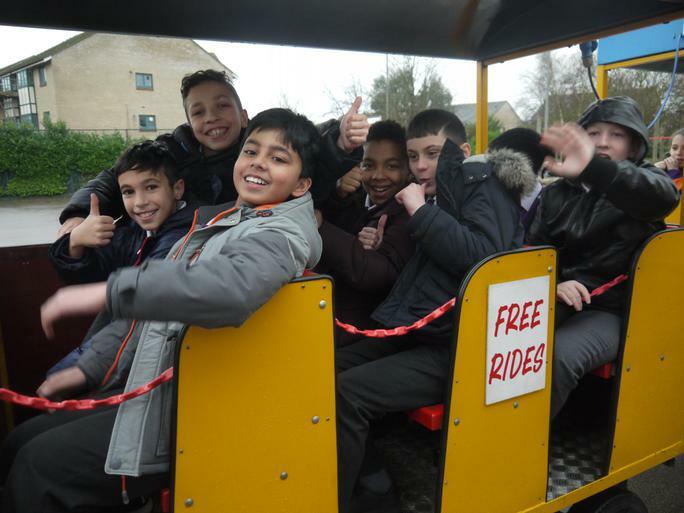 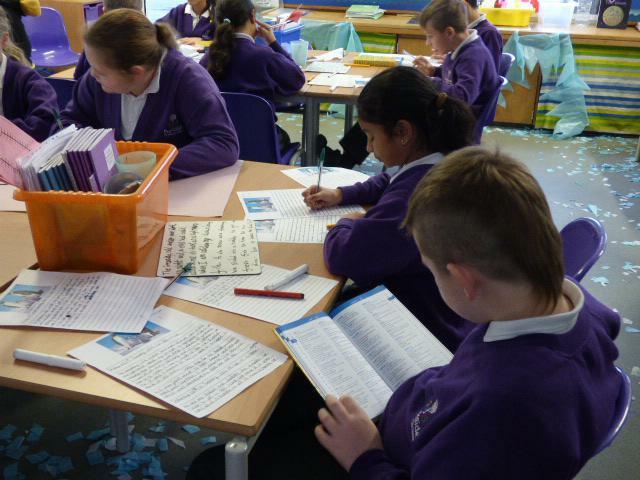 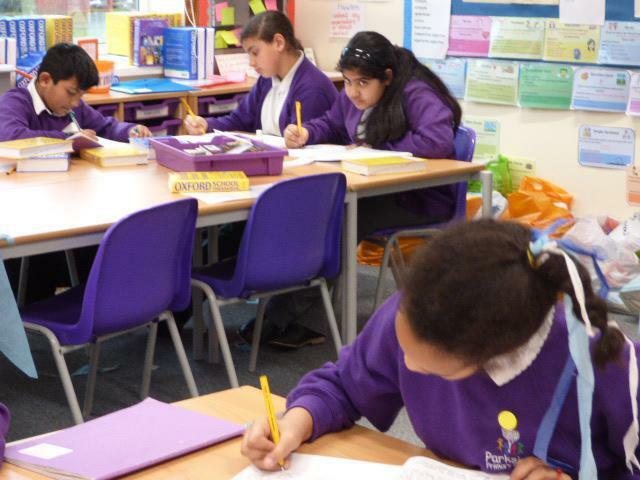 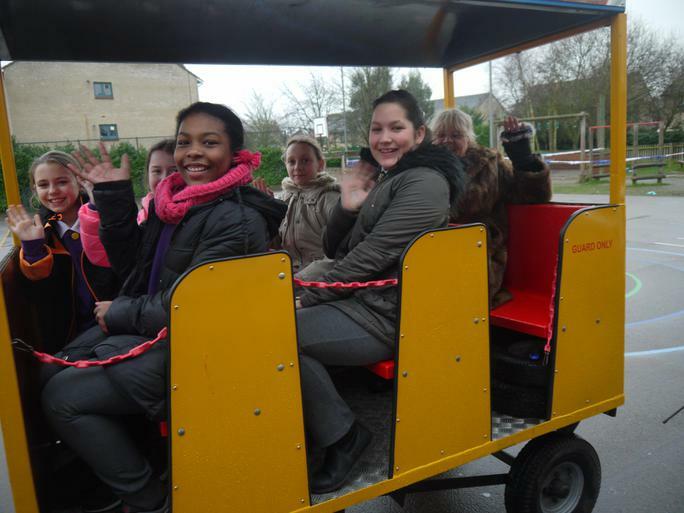 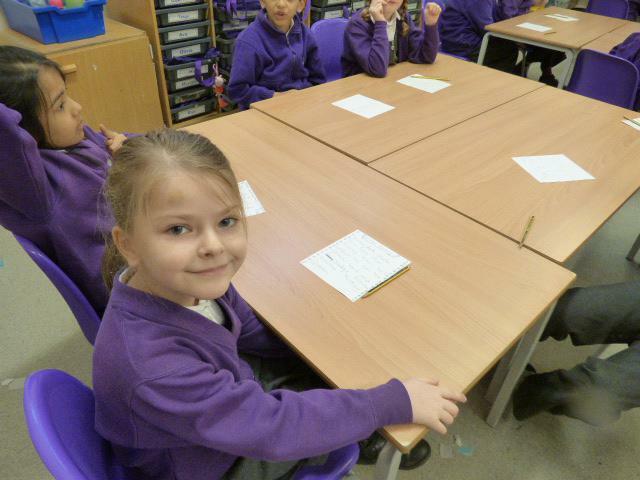 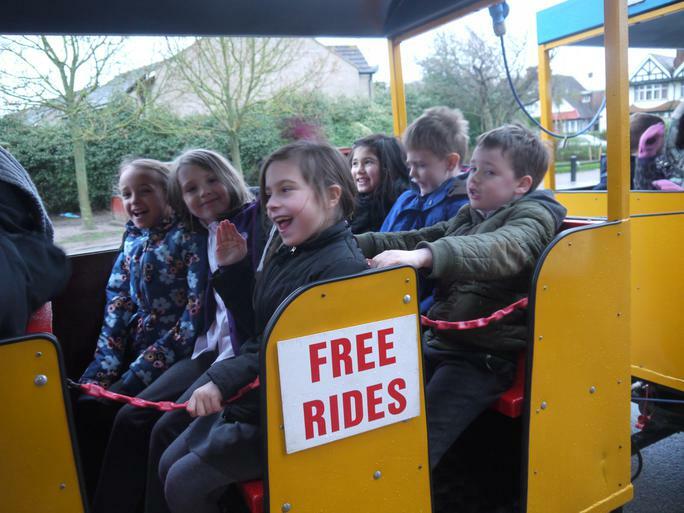 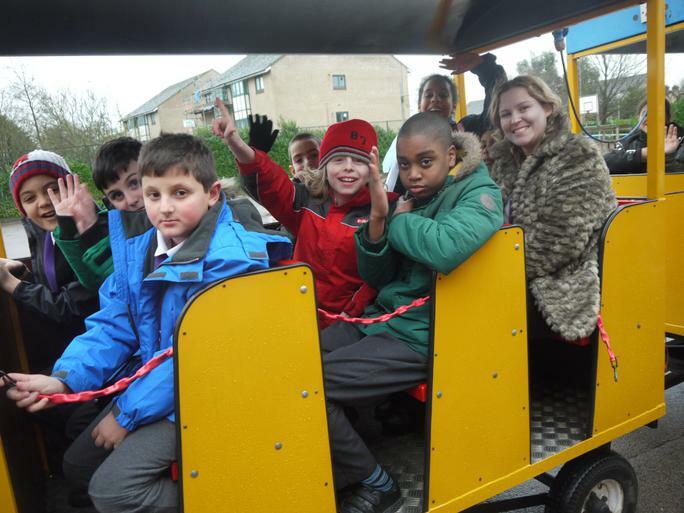 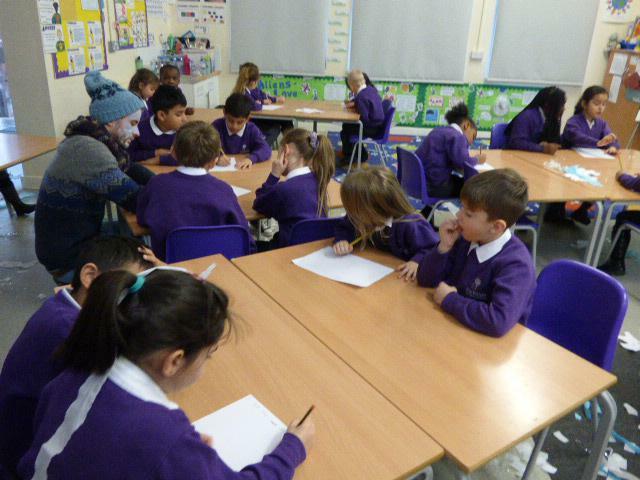 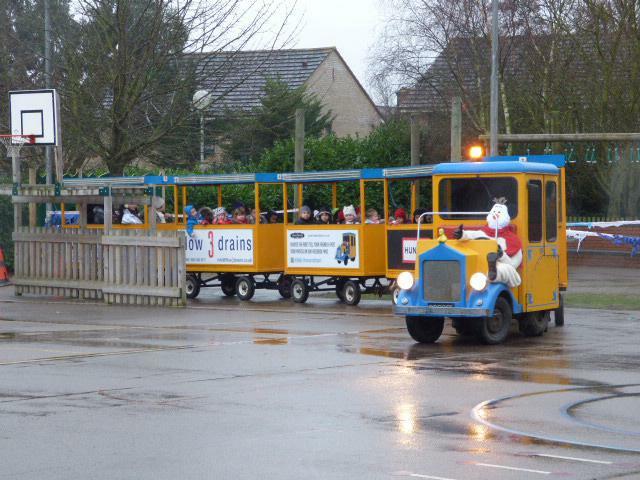 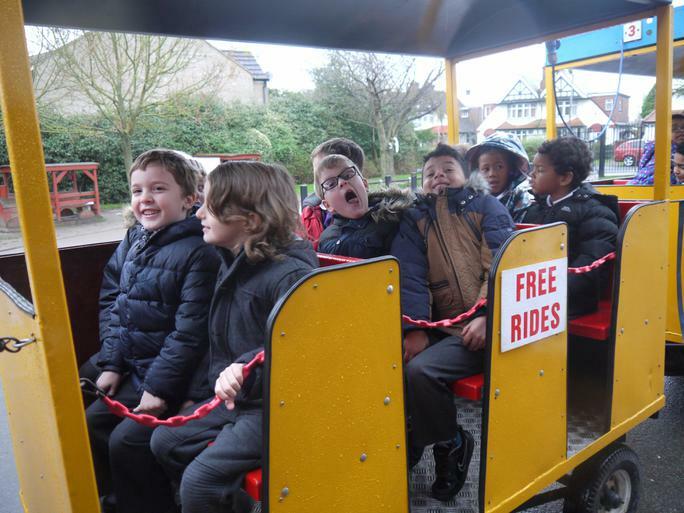 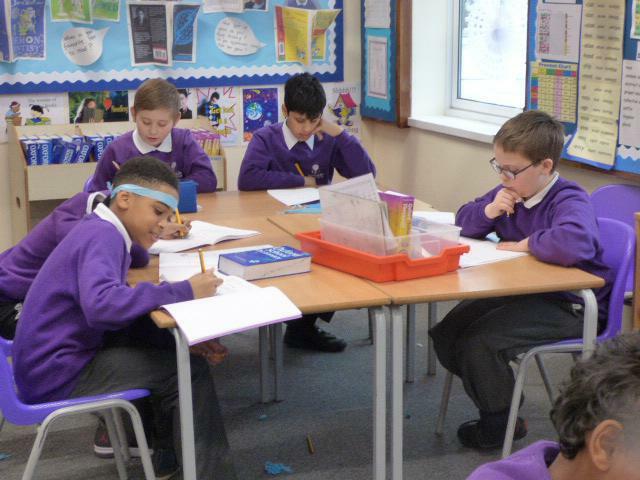 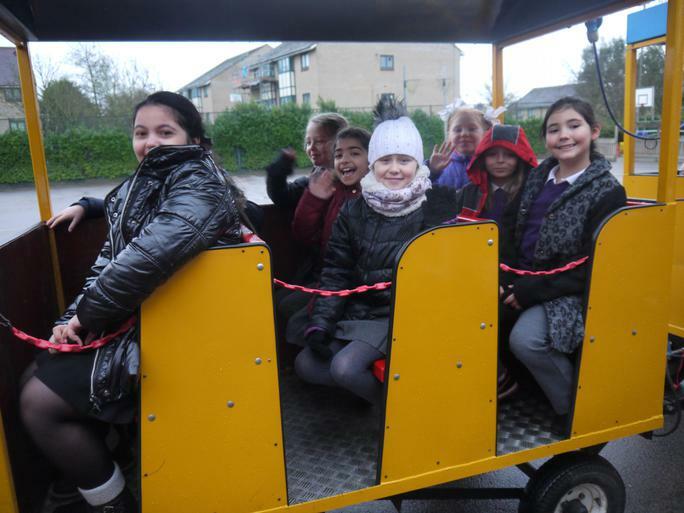 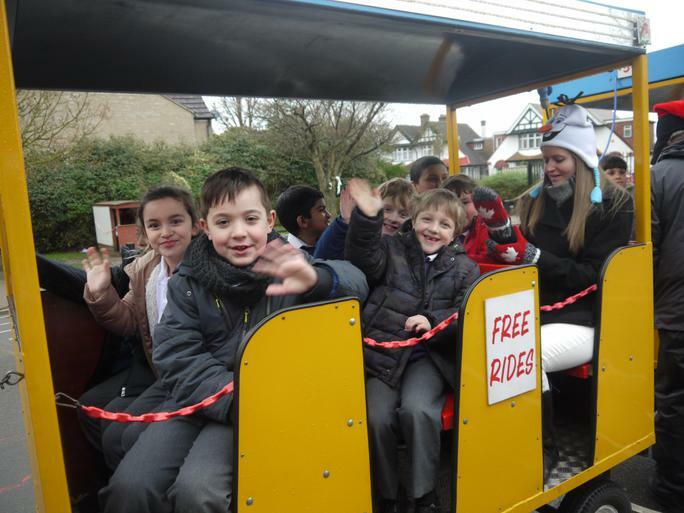 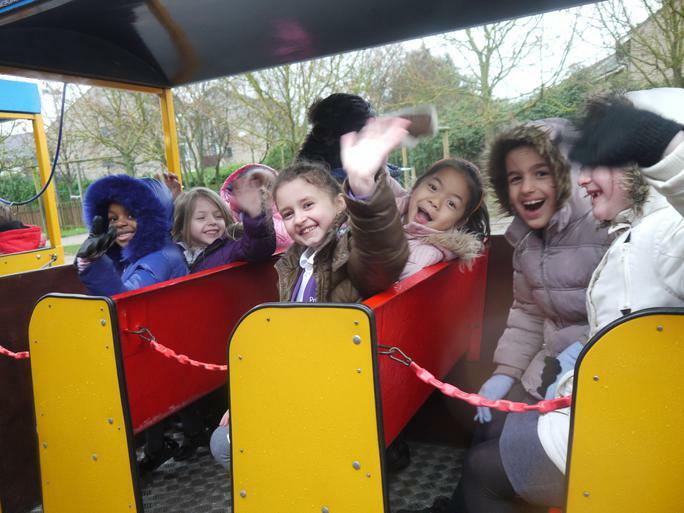 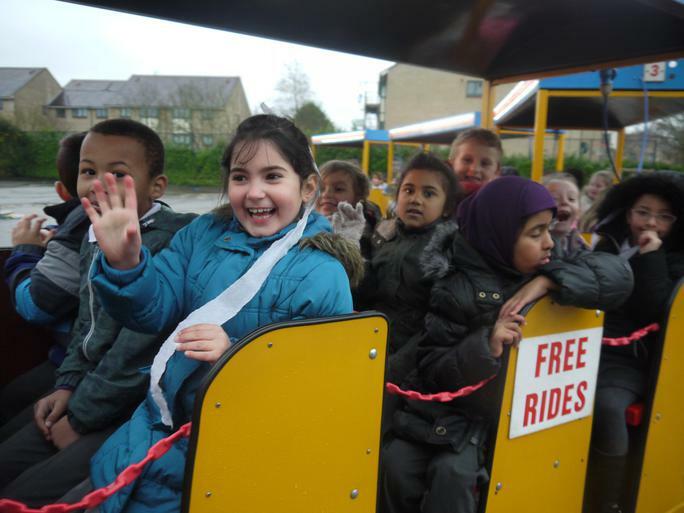 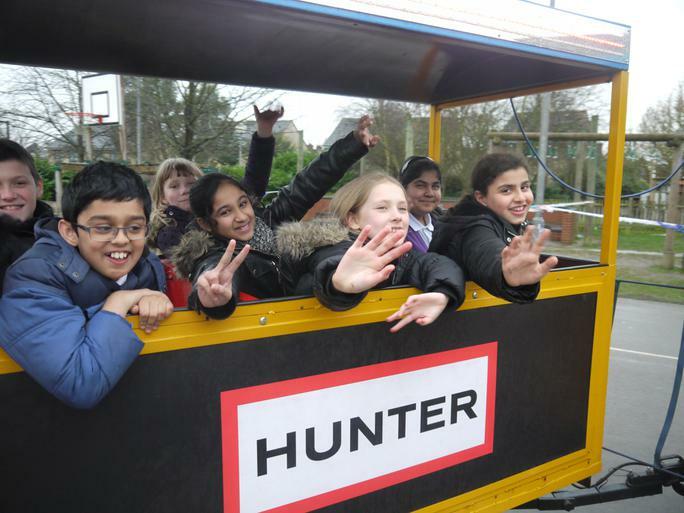 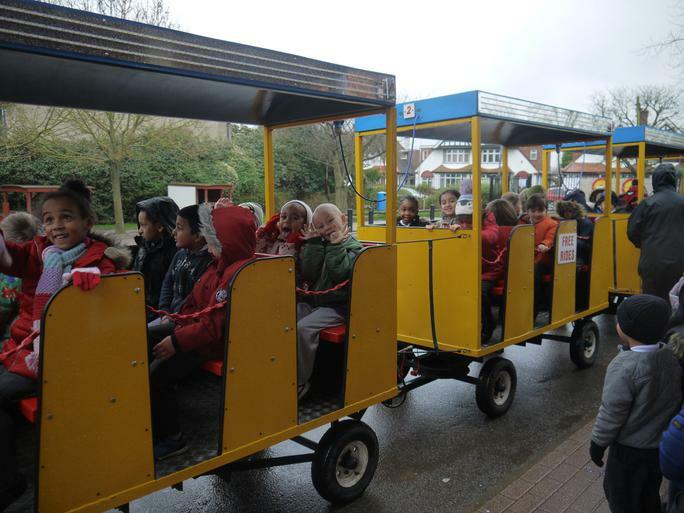 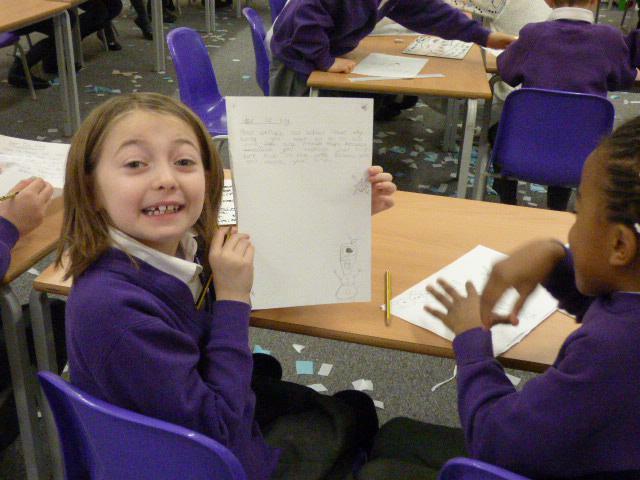 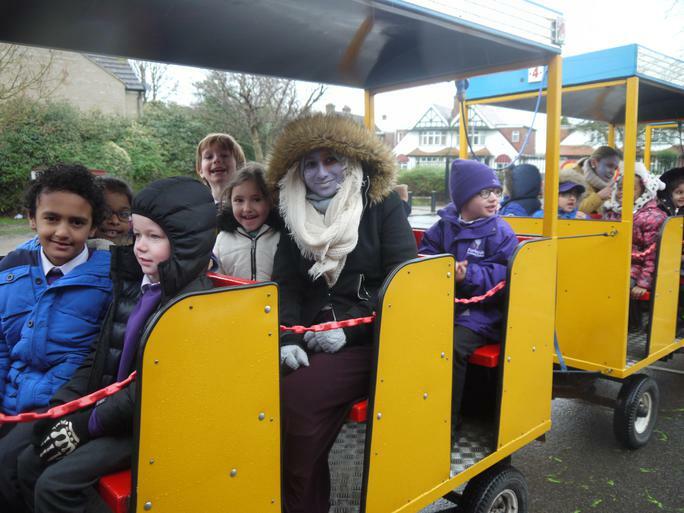 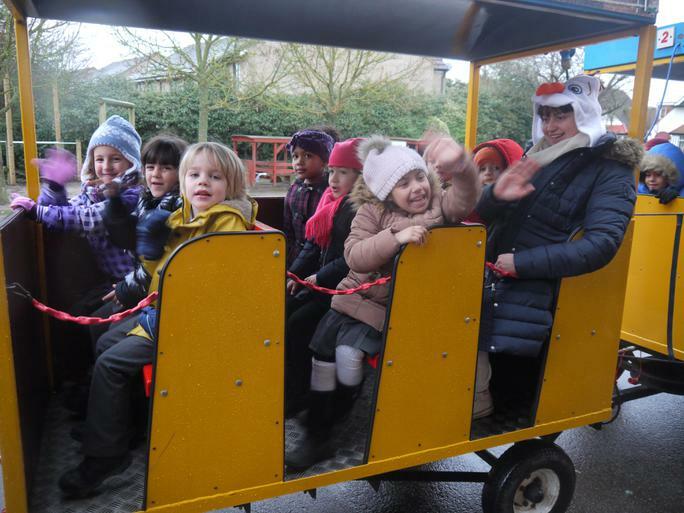 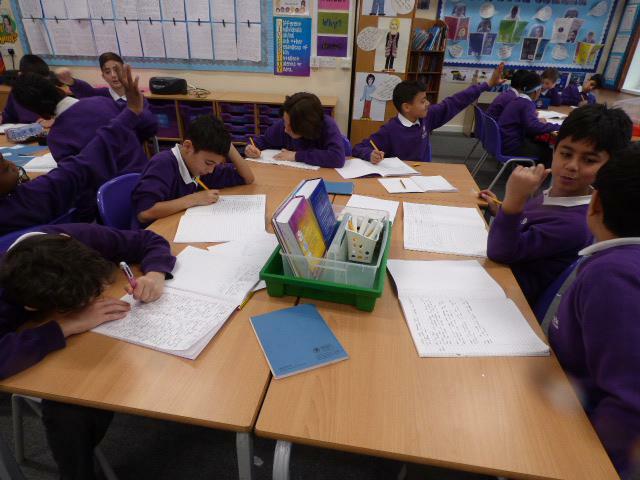 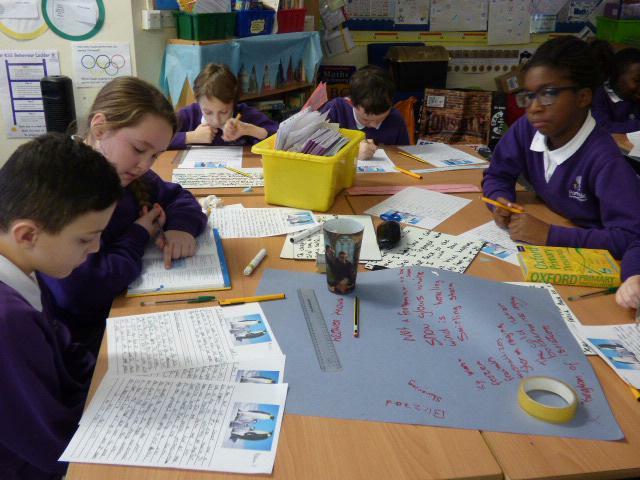 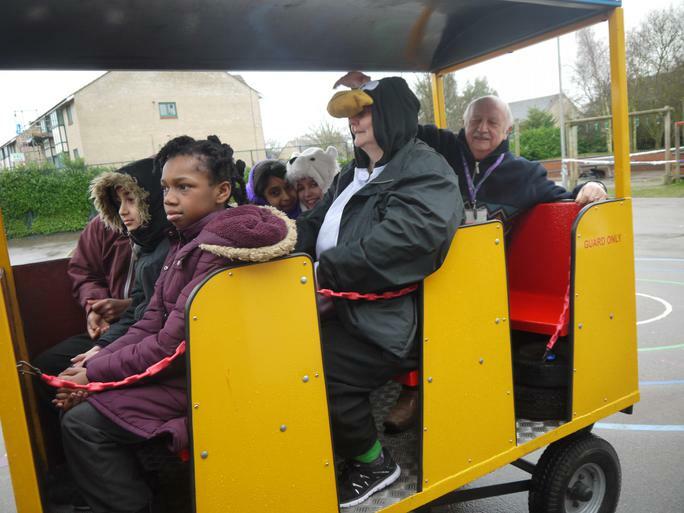 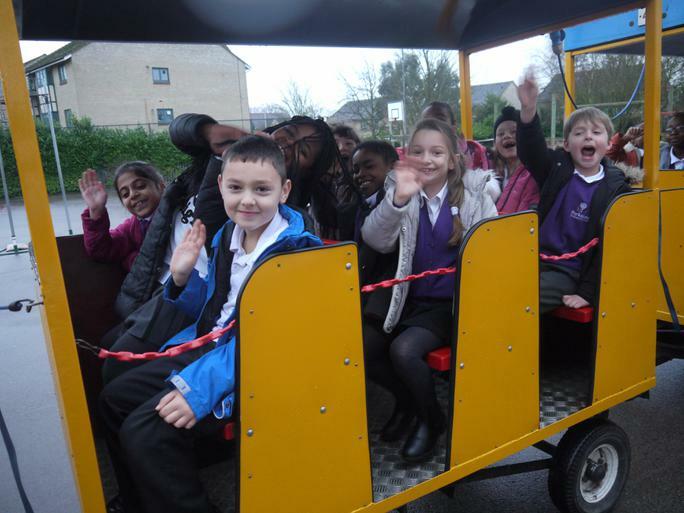 Throughout the day the children worked very hard to produce ‘Proud to Shine’ writing and had a ride on the land train in order to defrost the school.